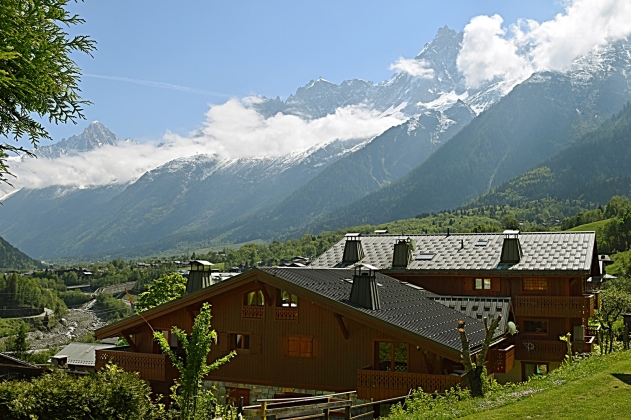 Do you like to spend a quality vacation in Chamonix? 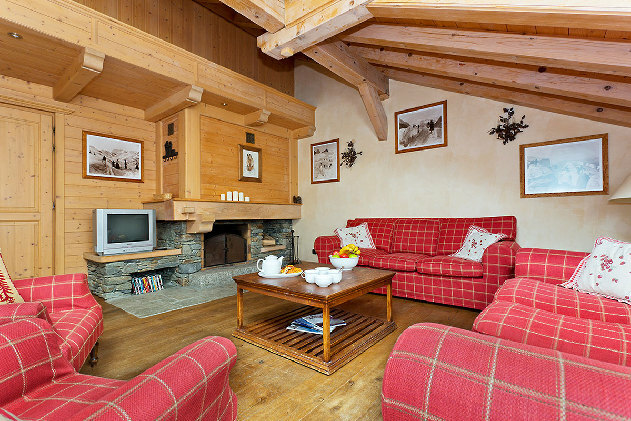 Then Chamonix Ski Chalets offers Chamonix apartments which will make the vacation you are planning the perfect one. 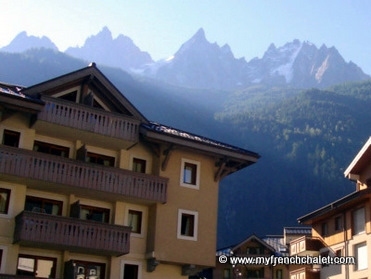 The Chamonix area is a combination of the Chamonix town and a string of villages’ along the Chamonix valley floor. It’s a beautiful area which will be a whole new experience to you. It will be an awesome adventure to be in a place where it snows and hidden from the mountains. But if you don’t have a good apartment! Now that would be a big problem. You won't be able to enjoy yourself at all as you intended. 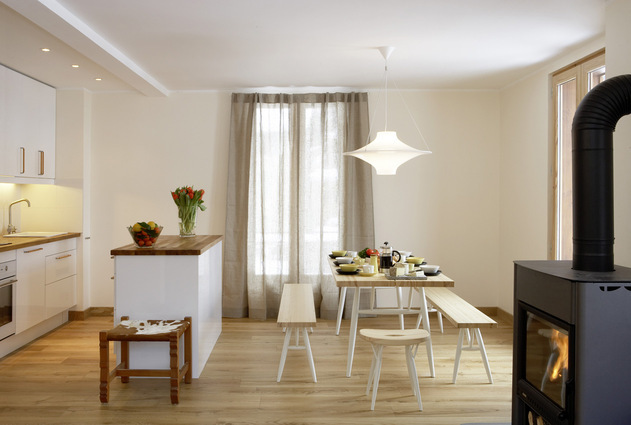 So it is important to find the best apartment which suits you the most. 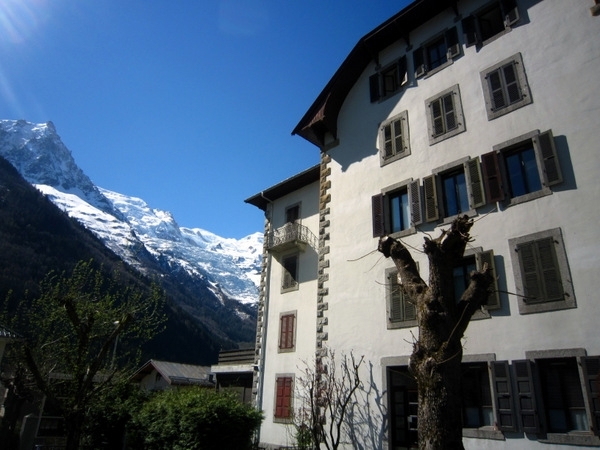 To a small group of people to a large group there are apartments available to rent in Chamonix. Also all the apartments are filled with modern day facilities. 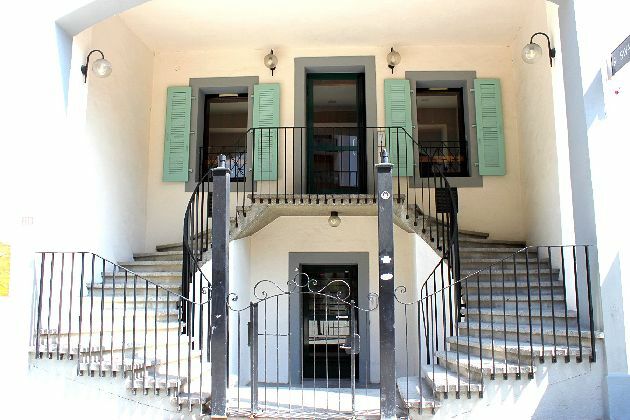 For instance Apartment Morote is an apartment where there are space for 9 people with 4 bedrooms and 3 bathrooms. 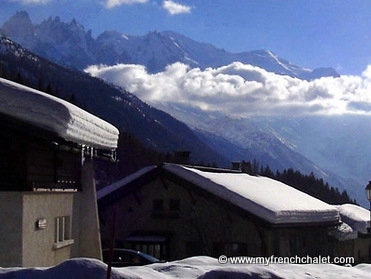 There is an amazing view of the Mont Blanc Massif and the Chamonix Valley. 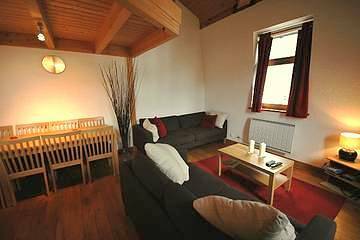 This apartment includes a shared hot tub and sauna for guest and a fully equipped kitchen and UK TV. If you like to cook by yourself there are all the things you need in the kitchen or if you like your hands to be free and relax there are catering options available. 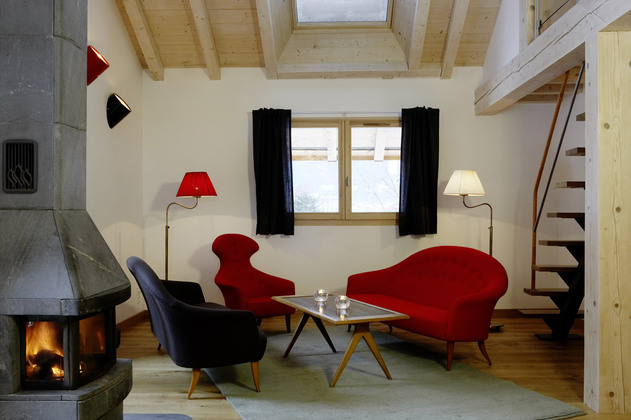 Also there is a traditional fireplace, free Wi-Fi, safe deposit, private car-parking facilities and many more. 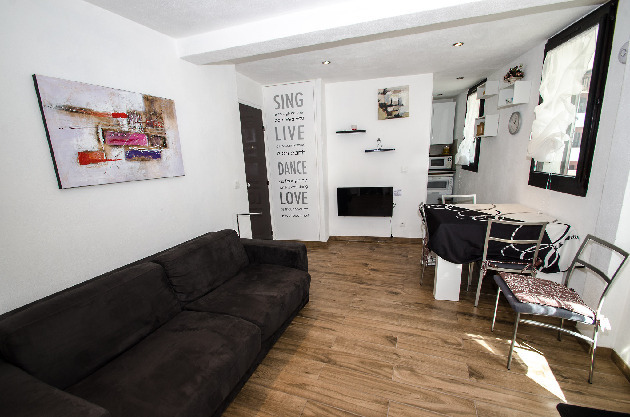 There are even some apartments available within the town which are only a few minute away to the Bus stop, train stop or to the Super market. 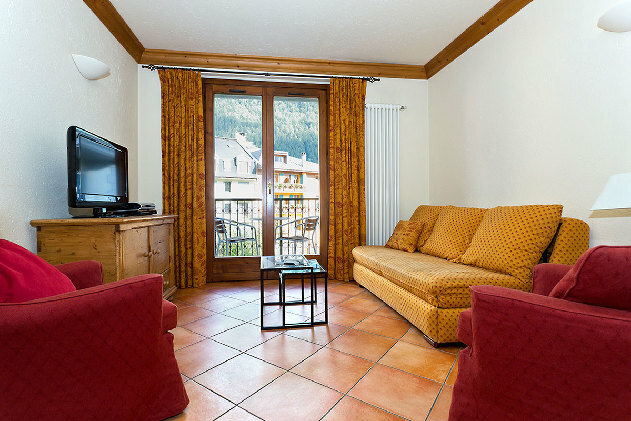 There are many options available and depending on the standard of the apartment Chamonix apartment rental is different. 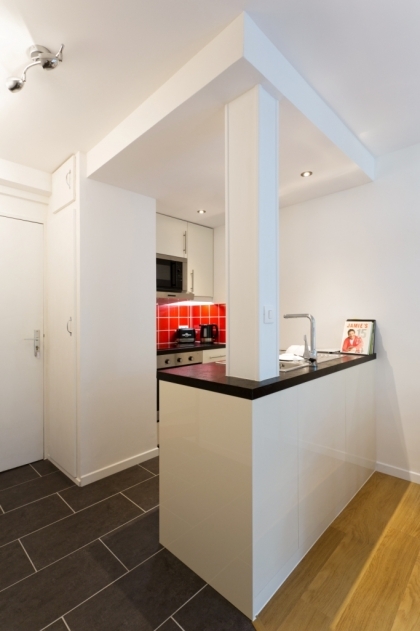 So according to your budget you can have the most appropriate apartment for you. There is also a price difference in the Low Season and the High Season. 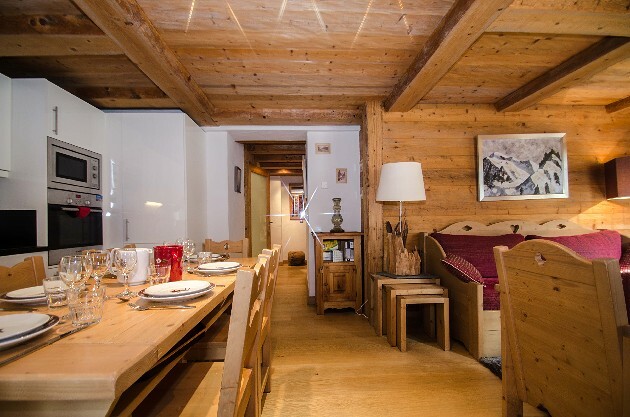 Also there are Ski apartments to rent where you can have the skiing experience. 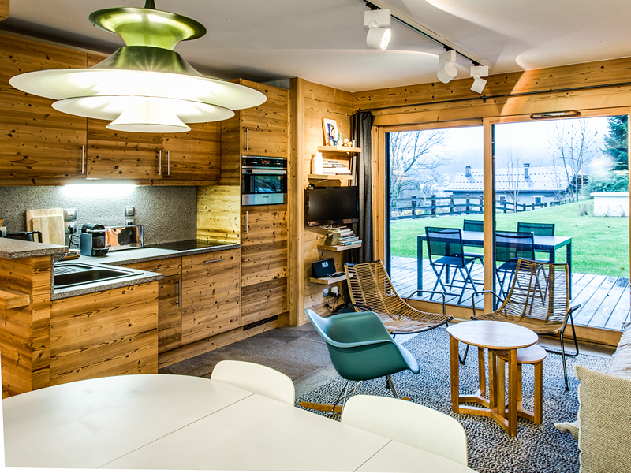 There you have a ski locker to store all your equipment and renting skies and snow boards’ facilities. 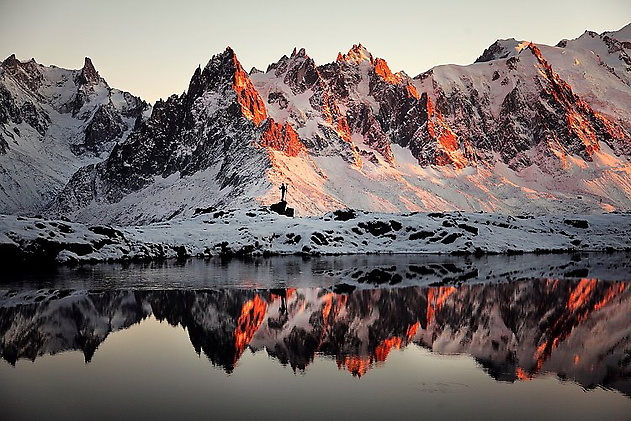 One of the best thing about Chamonix is that, it is the very best place for skiing. 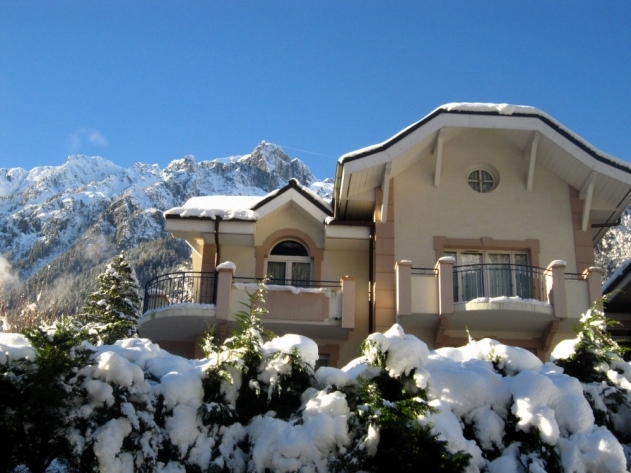 If you need some of the skiing adventure, then renting ski apartments is the best choice. 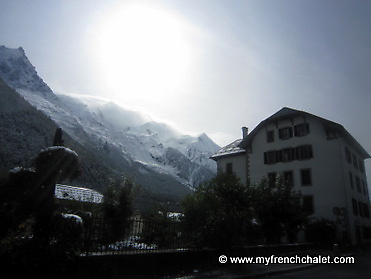 Chamonix is a place to visit and get the lovely experience. 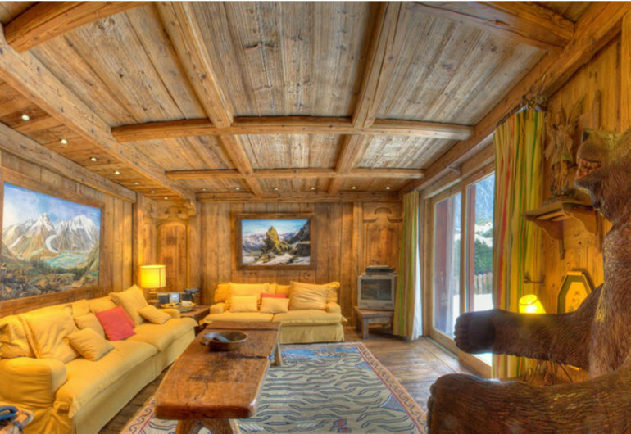 http://www.chamonixskichalets.com/ will provide you with apartments which are the best apartments you can find in Chamonix with reasonable prices. Since there are all the facilities and equipment you need there is no need to bring anything from your home. Also experience the catering service from experienced chefs and even if you like to cook yourself there are all the equipment in the kitchen. Don’t forget to have the amazing experience of skiing and breathing the cold breeze. 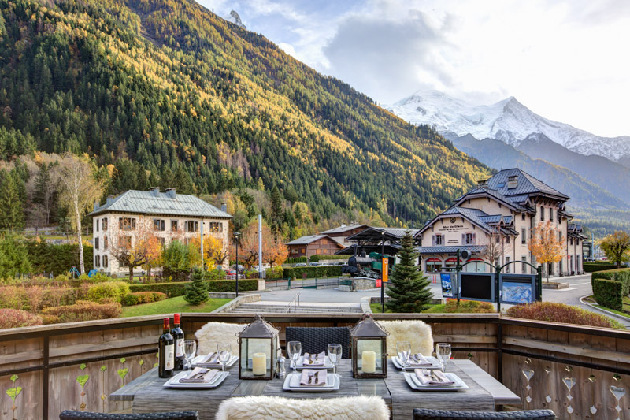 Hidden from the mountains and covered from snow, Chamonix is the perfect place to come with your friends or family to make some memories. 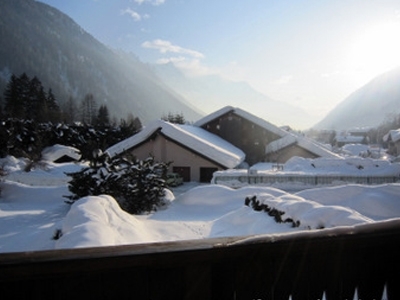 This apartment is a fantastic spacious 2 bedroom property located in Les Houches. The property is newly refurbished , Well equipped, Provides ample storage, Close to transport links and comes with off street parking. 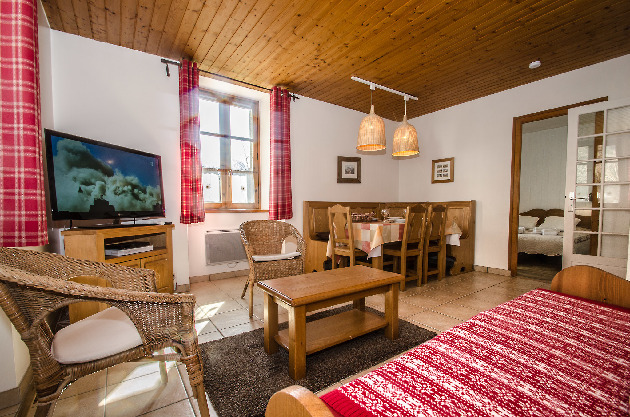 This apartment also benefits from plenty of sun and is well suited to couples, Families, Friends, and sharers and has everything you need to enjoy a summer or winter holiday in the Chamonix valley. LOUNGE AND OUTSIDE AREAS REFURBISHED 2018. The apartment is on the first floor, above the private garage (with allocated parking space). 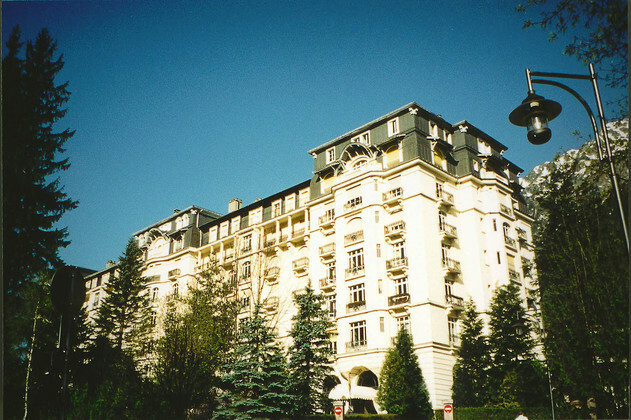 There is a large terrace, fully fenced, and connecting balcony. The terrace opens from the master bedroom so parents can get some rest while little ones play safely outside. 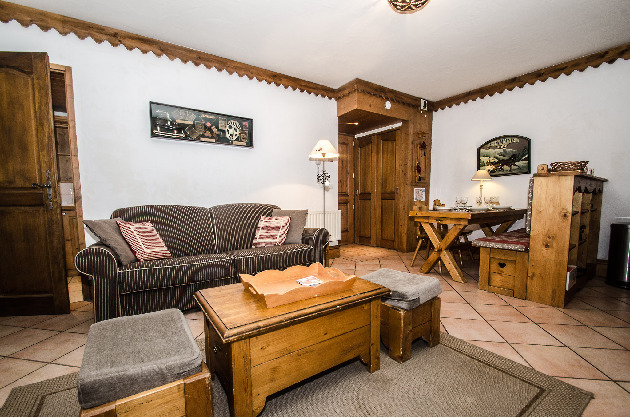 Our apartment is in Les Houches, conveniently located 150m from the nearest ski lift, with local shops, bars and restaurants within 2 minutes walk. 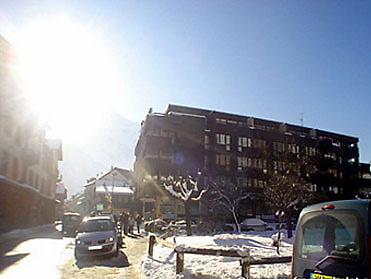 Other ski areas in the Chamonix Valley are easily accessible by frequent bus (150m) or car. 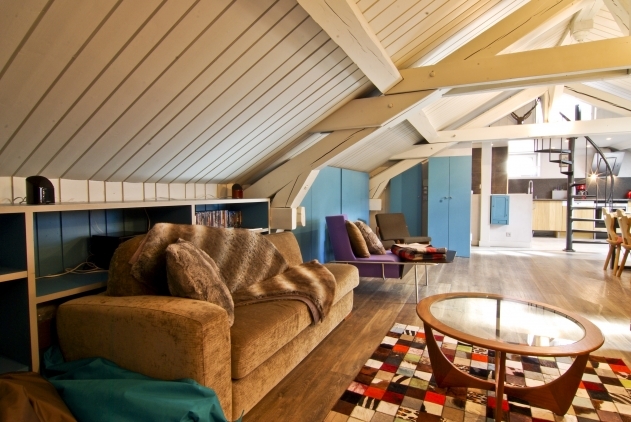 The apartment sleeps up to 8-9 in three bedrooms and lounge, up to 11 on request. It has been independently audited for child safety, and fully equipped for babies and toddlers, including a cot, bed guard, high chairs and all minor equipment. 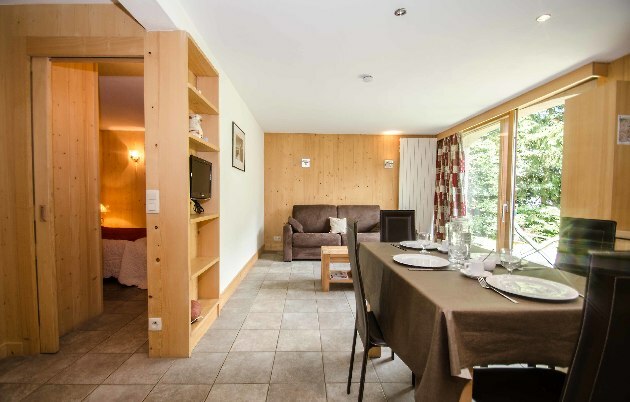 Superior quality two bedroom, two bathroom apartment sleeping 4/5 in central Chamonix, enjoying an elevated and quiet position right by the main Brevent lift in central Chamonix. 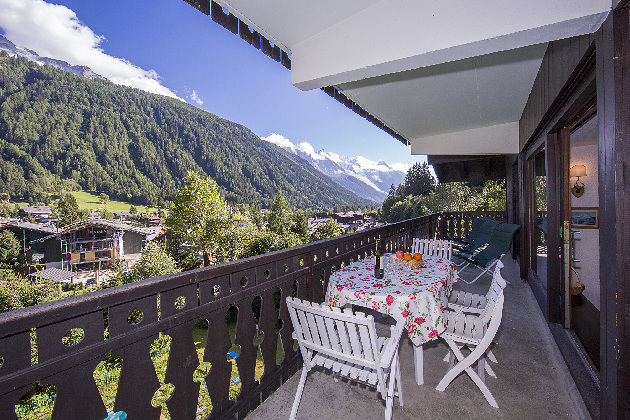 Stunning views of Mont Blanc from the large balcony and just a minute walk to ski lift and a 2-5 minute walk to the main town square with its shops, bars, restaurants, cinema and train station. 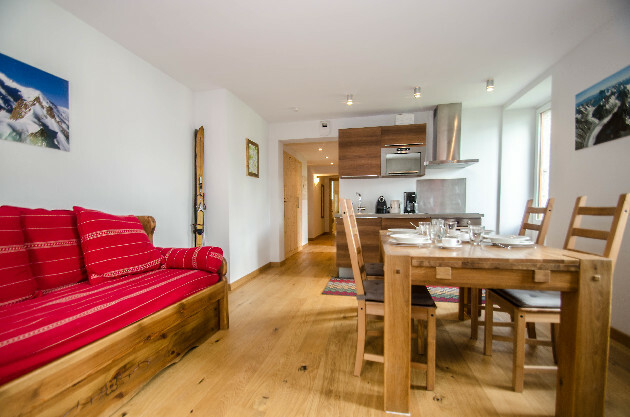 A superior quality 80 square metre apartment sleeping 6 with two bedrooms, two bathrooms, an open plan living/dining/kitchen area with woodburner, stunning views from the generous balcony and just a minute walk to the ski bus stop, restaurants and village centre. 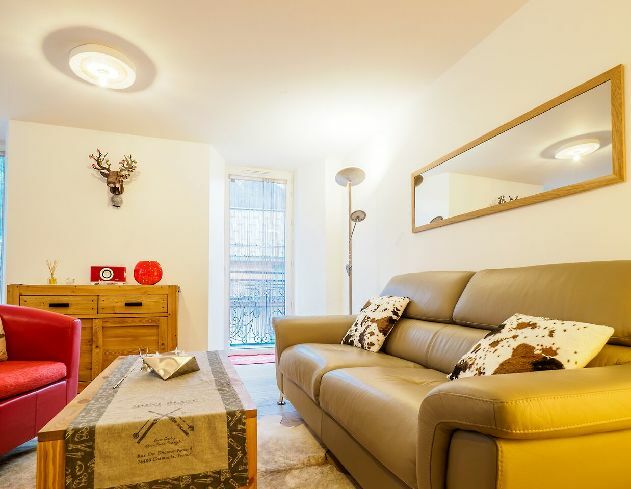 This recently refurbished bright and spacious apartment is the perfect property for families and couples. 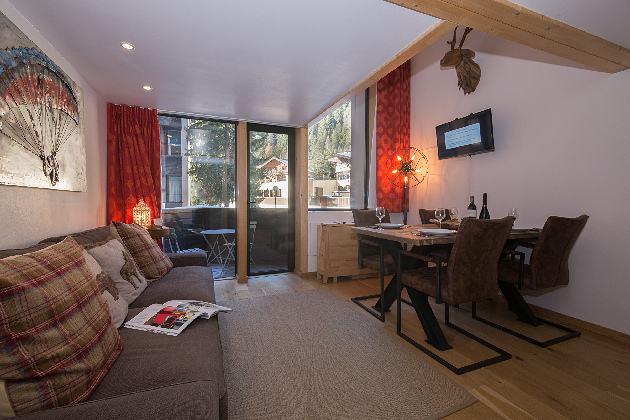 Only a 5 minute walk to the Plan Joran gondola whisking you up to the world class ski area of the Grand Montets. 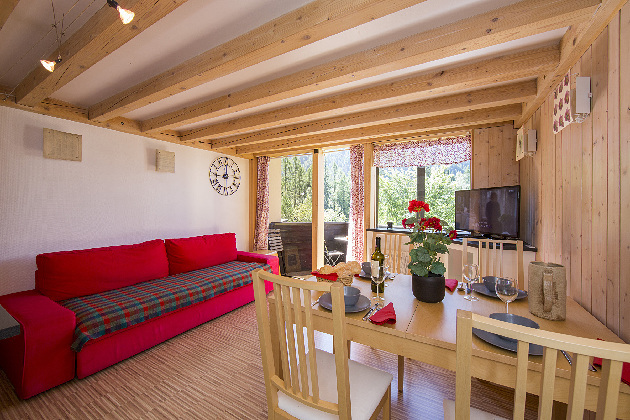 It has an open plan living area, two bedrooms and can comfortably sleep up to 4 guests. 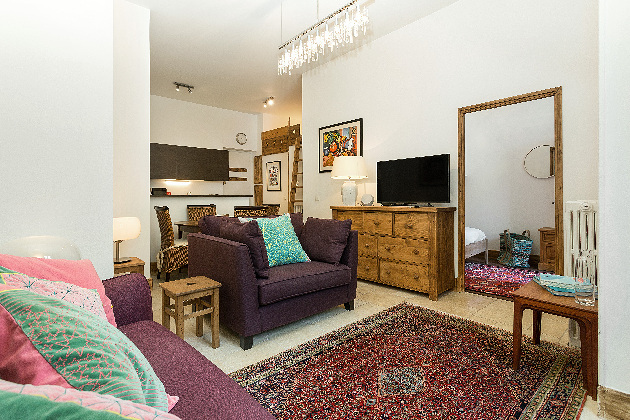 This spacious apartment is a tastefully furnished modern apartment with a large terrace overlooking the central village square. 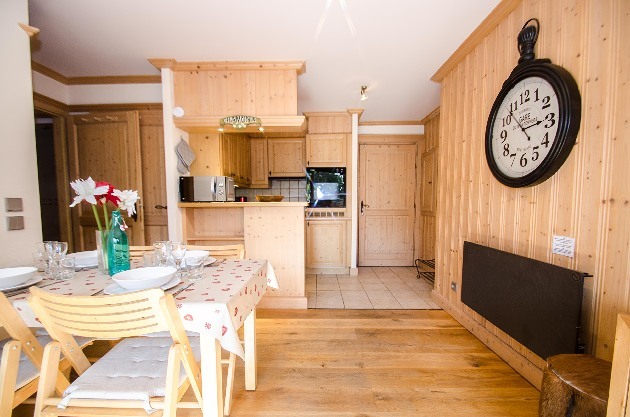 It has a fully equipped kitchen including a full oven, induction hob, fridge freezer, fondue set, kettle and toaster and washing machine. Bathroom with basin and Italian shower. The apartment also benefits from use of a communal swimming in the summer months. 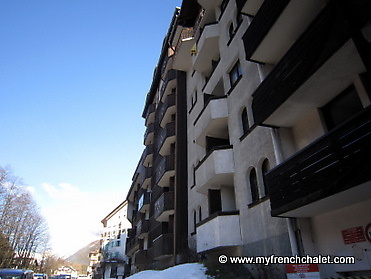 Lovely apartment situated in Les Houches 2 minutes walk from the Prarion lift. 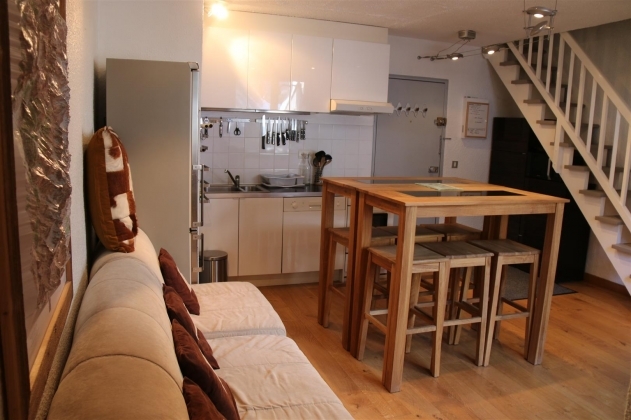 The apartment sleeps 4 people in 2 double bedrooms, each room has a private bathroom. 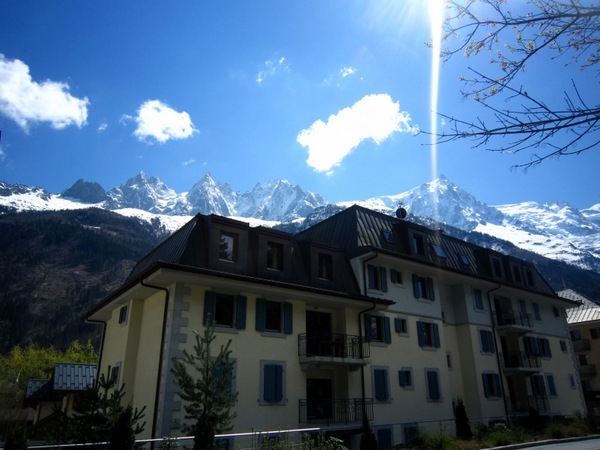 This is a great value studio apartment located on the Route des Gaillands, Chamonix-Mont-Blanc. It has a flexible layout and can sleep up to 3 guests. 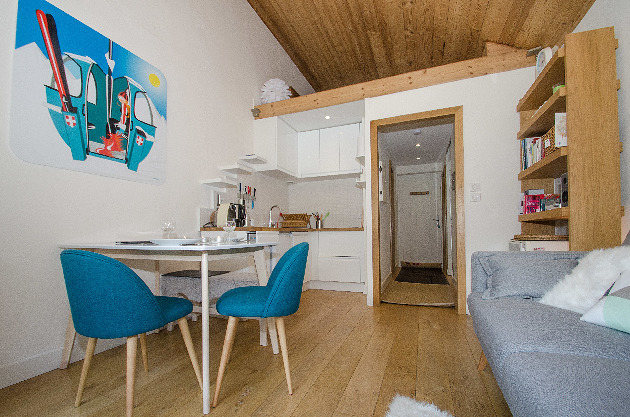 It’s located just outside the centre of Chamonix, benefits from a south west facing terrace garden with incredible views of the Mont Blanc Massif, comes with a car parking space and is just a 1 minute walk to the bus and train stop that connects all of Chamonix’s ski areas! 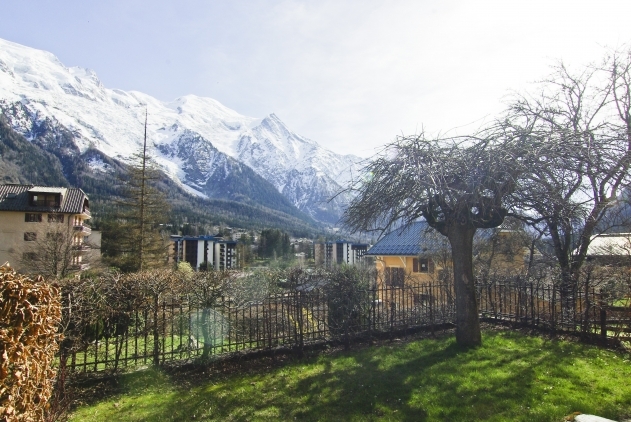 Located in the somptuous Majestic building in the heart of Chamonix, this newly renovated 3 bedroom flat is on the 3rd floor and has stunning panoramic views over the Brevent and Mont Blanc range. 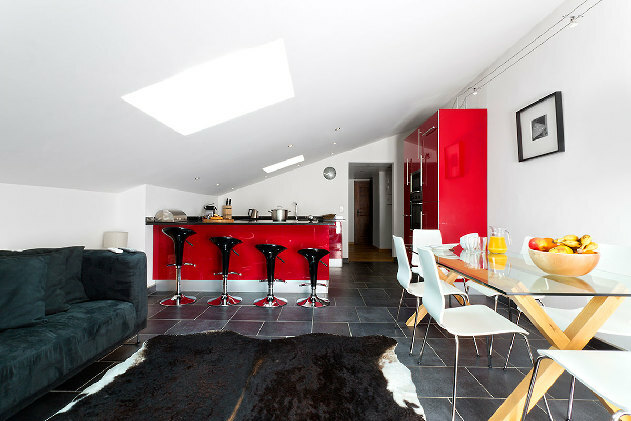 nnThe appartment offers spacious and comfortable accommodation for 6 and up to 8 people, it has been decorated in a contemporary style whilst retaining the character of this impressive building. nnThe entrance hall leads to the open plan living area, equipped with a stunning modern kitchen fully fitted, a cosy lounge and dining table for 8. 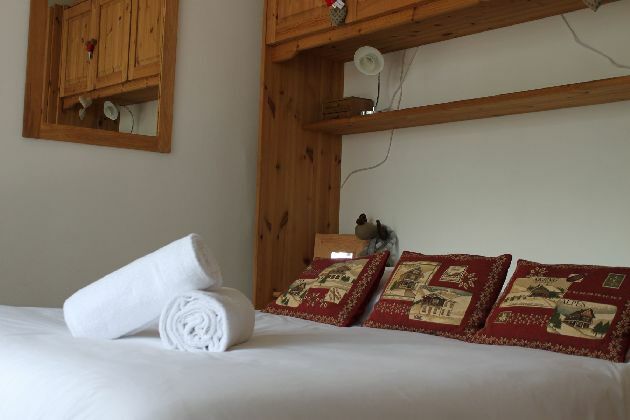 The 3 spacious double bedrooms all have king size beds, 2 ensuite shower rooms, the third bedroom has a nice big bunk bed that makes it perfect for a family room use and a separate big bathroom equipped with a large bath. In the entrance hall there is separate WC and a utility cupboard with a washing machine and a dryer. 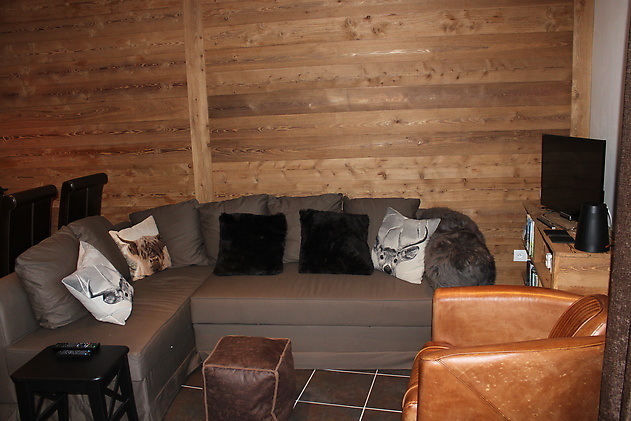 nnHidden in the basement of the building, an unexpected private area has been renovated and made as a vast sauna and gym room, with a shower room and a lounge area.It also hosts the ski and boot room. Private external parking and elevator. 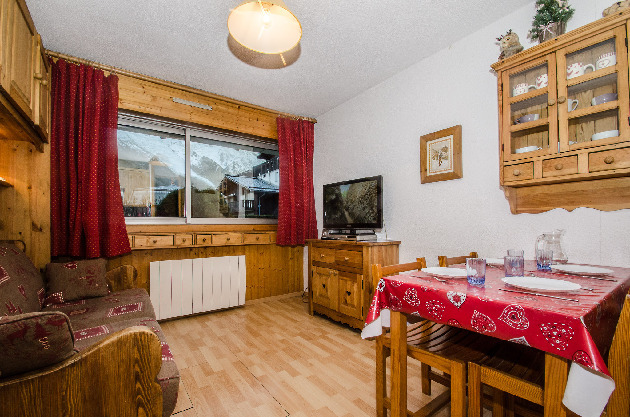 1 minute walk to the center of town and 5 minutes walk to the Brevent ski lifts. 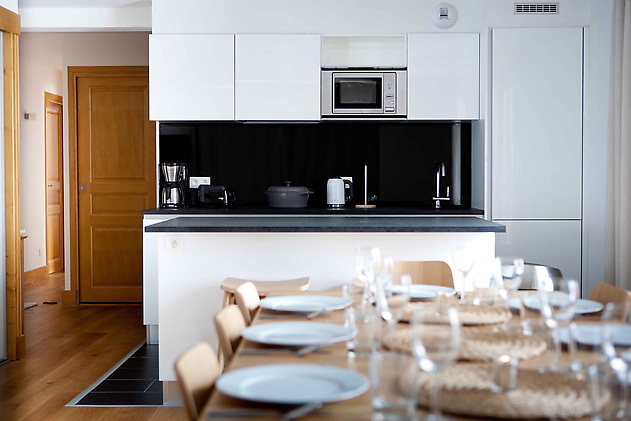 Apartment Bixbite is a modern 2-bedroom apartment, all set up with everything you need for a great holiday. 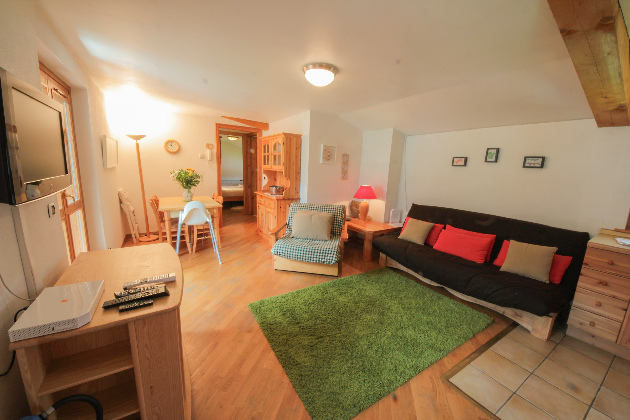 There's free WiFi throughout, and use of the building's utility room with washing machine and even a sauna. 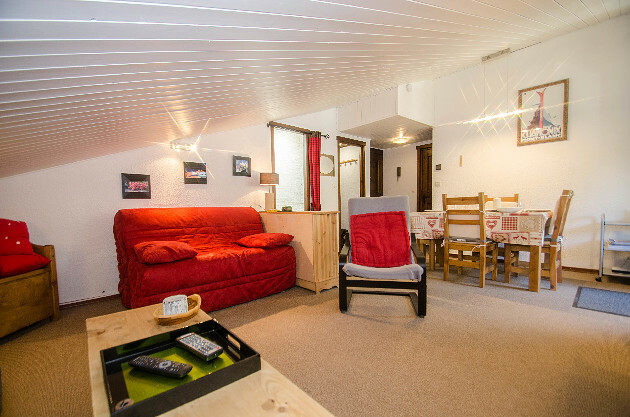 The building is modern and well-kept, and consists of 6 apartments in total and is near the bottom of the Planards nursery slope, and a 5-minute walk to the nearest bakery and the very centre of Chamonix. 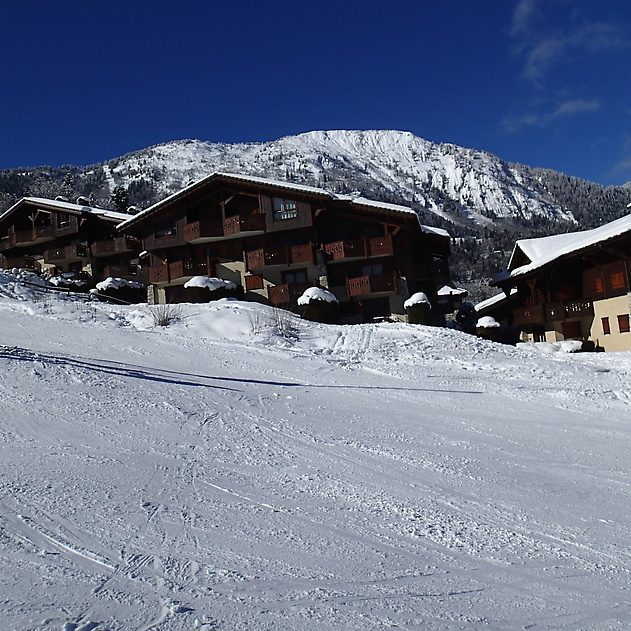 Apartment Cherry is a 4 bedroom apartment in a great location in the Chalets du Savoy residence. It comfortably sleeps 8 guests in 4 bedrooms, and has 4 bathrooms. 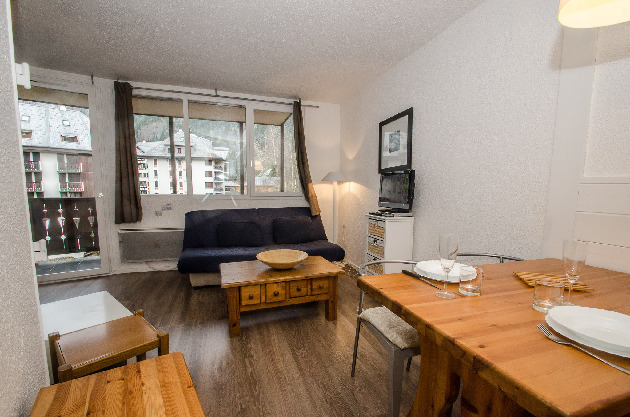 The apartment is located on the avenue du savoy, and provides central Chamonix accommodation in a bright, clean and tidy development. It has three bedrooms so can comfortably sleep 6, two of the bedrooms do contain bunks so please keep this in mind when making your reservations. 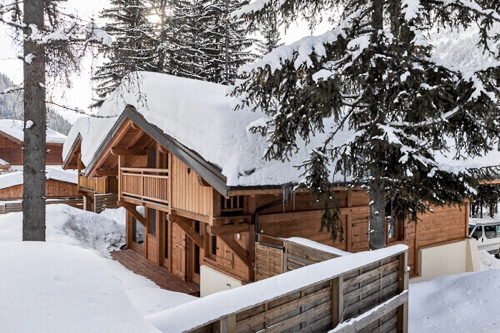 This property also boasts a lovely balcony space with great views of the Mont Blanc massif and ski storage for up to 6 pairs of skis. 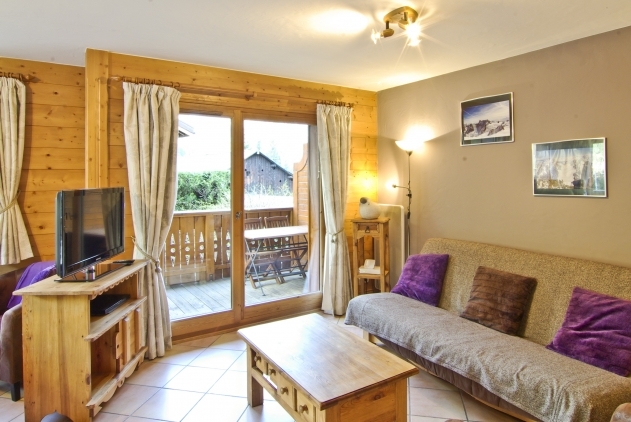 The apartment is well equipped with everything you need for a short break in the Alpes. The apartment also benefits from underground parking, A great addition for an apartment so close to all of the amenities. 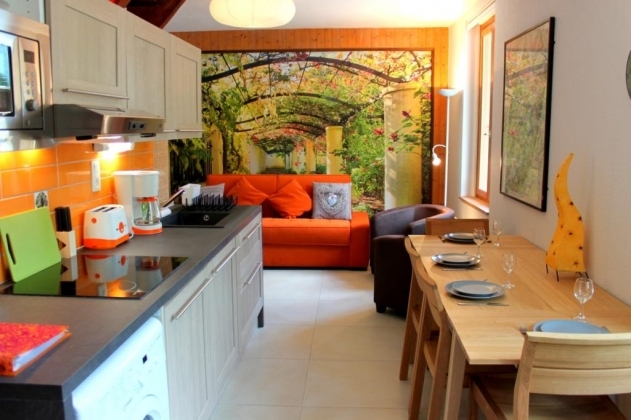 This apartment is a five bedroom apartment that sleeps 12 guests in total. 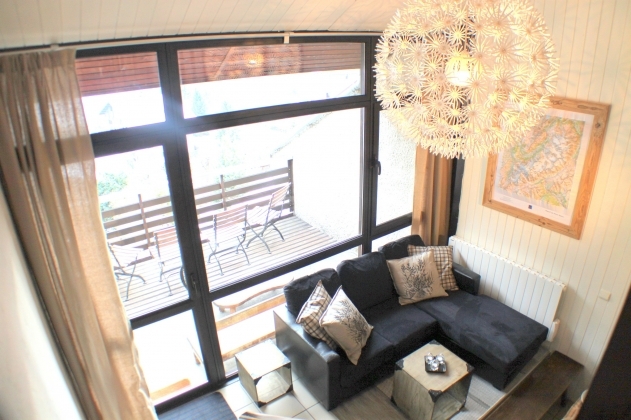 It has a lovely balcony, and is located in the very centre of Chamonix, close to the savoy ski lift. 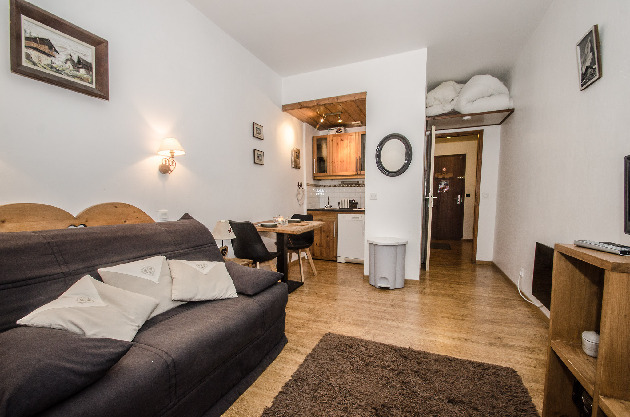 Lepelletier is a comfy one-bedroom apartment located in the Alpes building in the very centre of Chamonix. 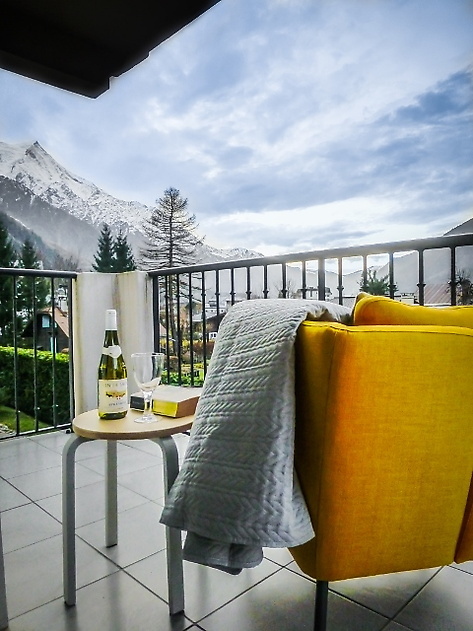 A brand new apartment in the recently constructed Grand Paradis residence a couple of minutes’ walk from the very centre of Chamonix. 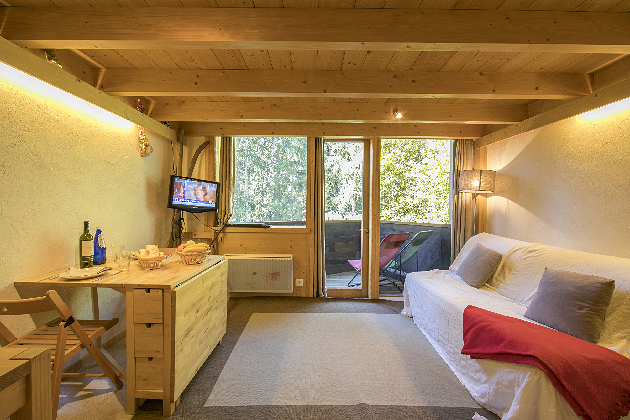 It has two bedrooms, and can comfortably sleep up to 4 guests. 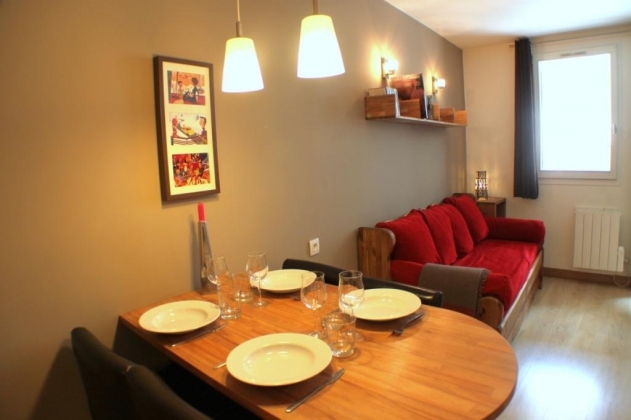 It’s a tastefully furnished modern apartmen with a large terrace facing Mont Blanc. 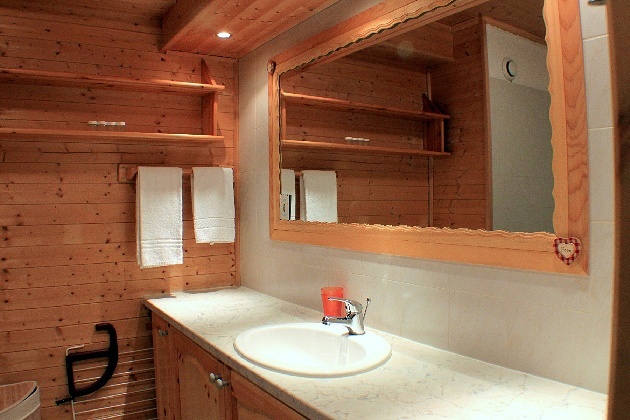 It has a fully equipped kitchen, bathroom, designated covered parking space, and ski locker. Sleeps up to 8 pax, but alongside its twin apartment can sleep up to 14 pax. 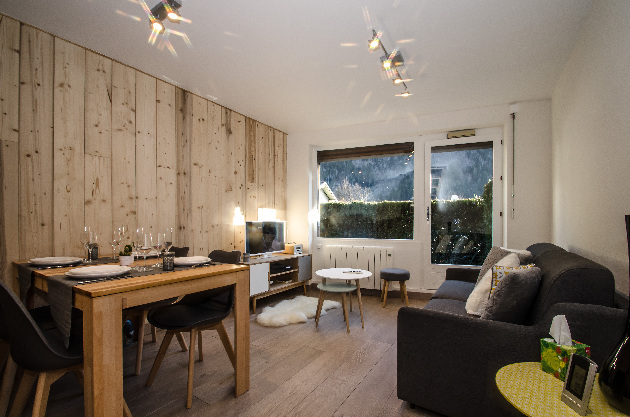 Apartment Guillemard provides central Chamonix accommodation in the Alpes building, a bright and modern development right in the centre of Chamonix. 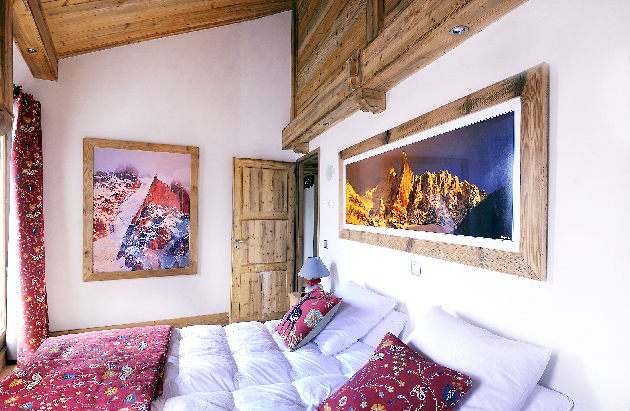 It comfortably sleeps 4 in 2 bedrooms, it has large bright windows and you can see Mont Blanc from the master bed! 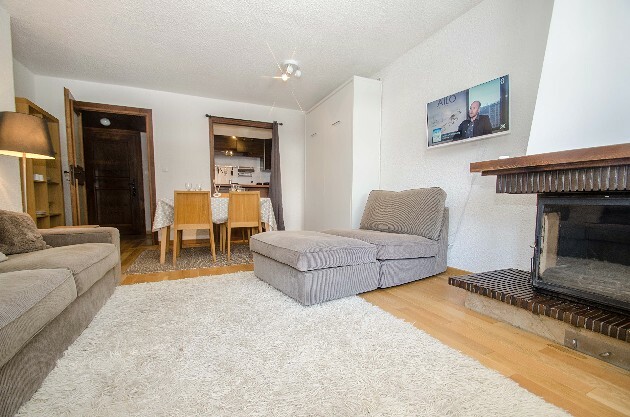 Strasse is a two bedroom apartment located in the very centre of Chamonix, in a great location a few steps from the shops, bars, restaurants and ski bus stops. 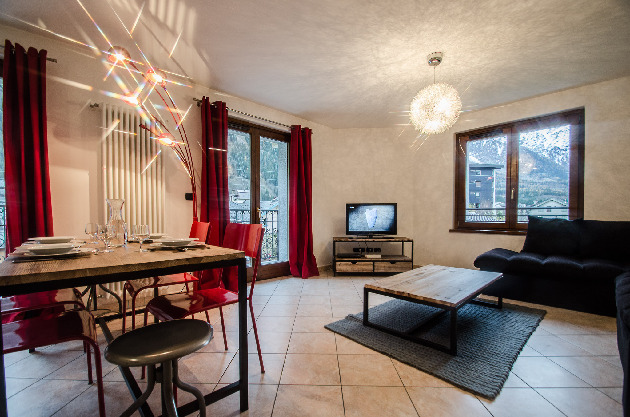 Apartment Cosmiques is a two bedroom/two bathroom warm modern apartment, located just off the Place Balmat in the centre of the mountain town of Chamonix – ideal for a family or two couples. 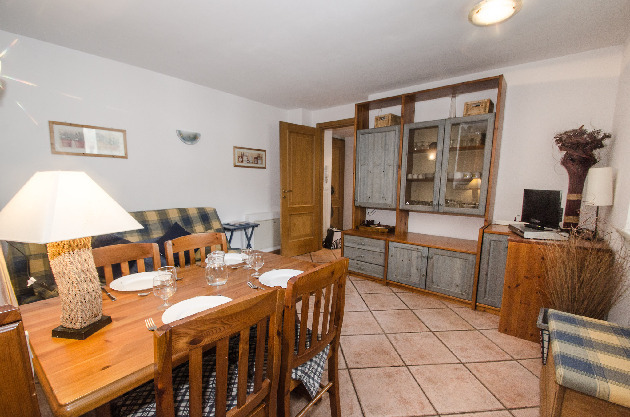 A real home from home with comfy furniture and beds and a fully equipped kitchen with a full size oven. There is a small balcony that looks over the river. 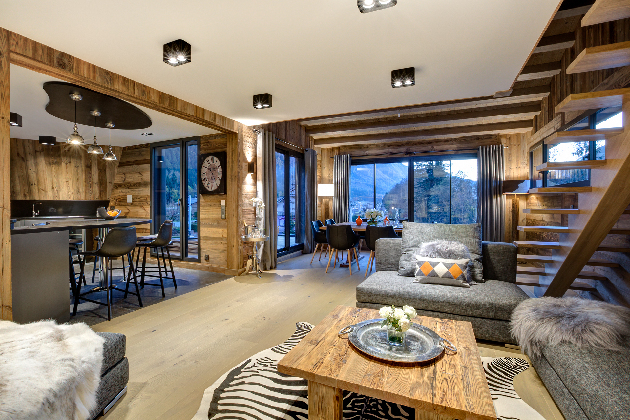 This apartment is real jewel located in a luxury residence in the very centre of Chamonix, decorated to provide an authentic mountain atmosphere. 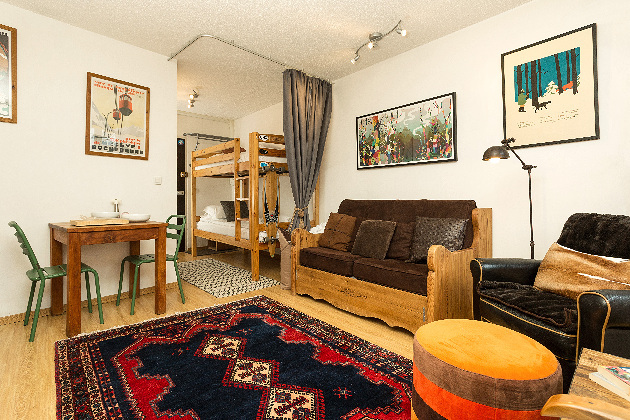 The apartment has three double bedrooms, one bunk bedroom and a mezzanine area with 2 single beds. There is a large living room, a dining room and a fireplace. There are 4 shower rooms, 1 with a sauna-hammam, and 3 WCs. 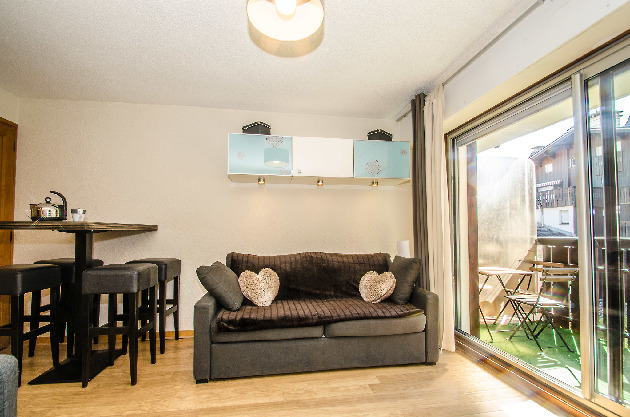 The apartment is modern and all set up with everything you need for a great holiday. There is a washing machine, dryer and wifi. 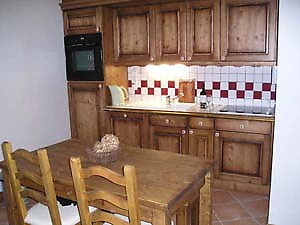 The kitchen is fully equipped with dishwasher, hob, fridge-freezer, oven, and microwave. 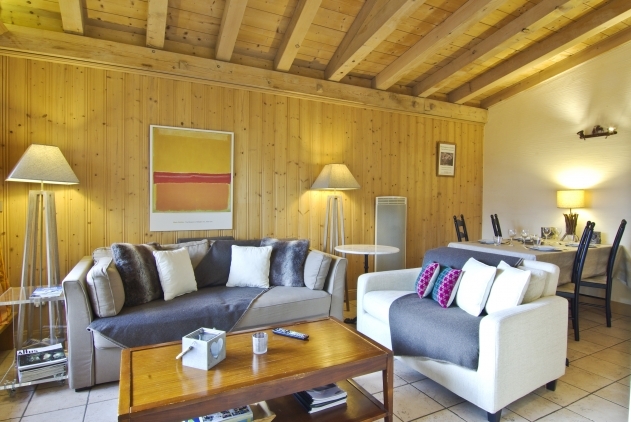 The living room is equipped with French TV, stereo and WI-FI. 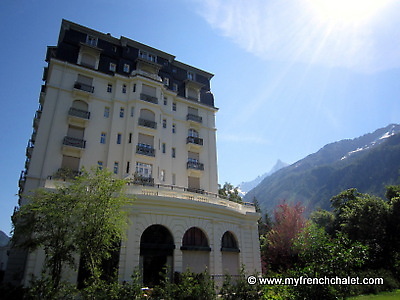 There are large bay windows overlooking the balcony-terrace facing Mont-Blanc. The apartment benefits from covered parking and a ski locker. 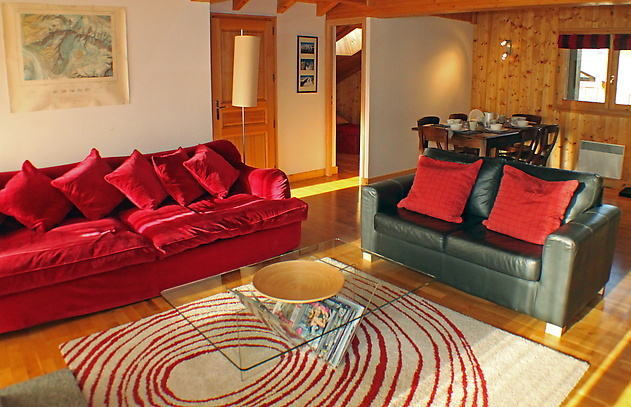 Apartment Redfire is located in a modern luxury residence in the very centre of Chamonix. The building is recently built and the quality of materials used is high. 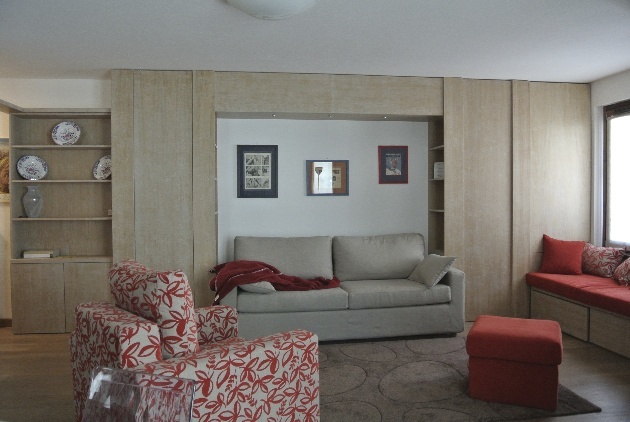 The apartment has four large bedrooms, 4 bath/shower rooms, along with four WCs. 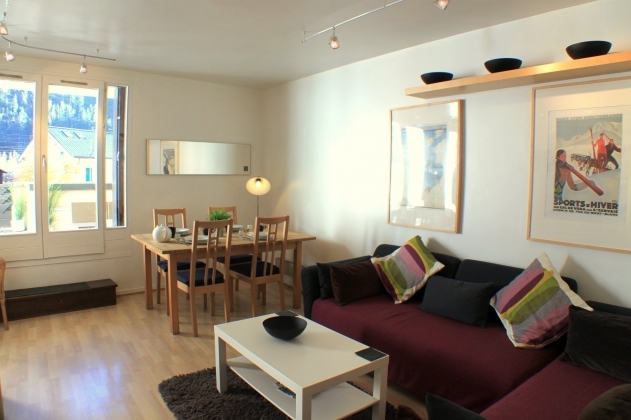 The apartment is modern and all set up with everything you need for a great holiday. 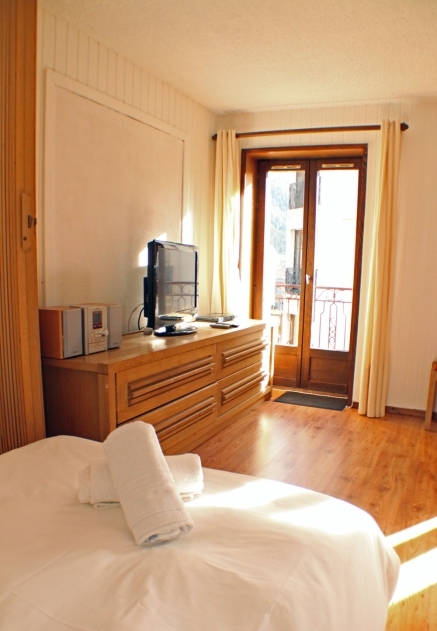 There is a spacious living room and dining room, as well as a hammam in the apartment. The kitchen is fully equipped and benefits from a quality granite worktop. 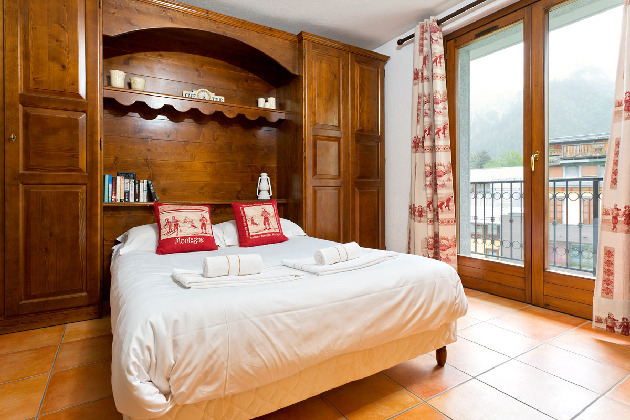 There is a Bose sound system throughout, TV/DVD in all the bedrooms, and private parking. 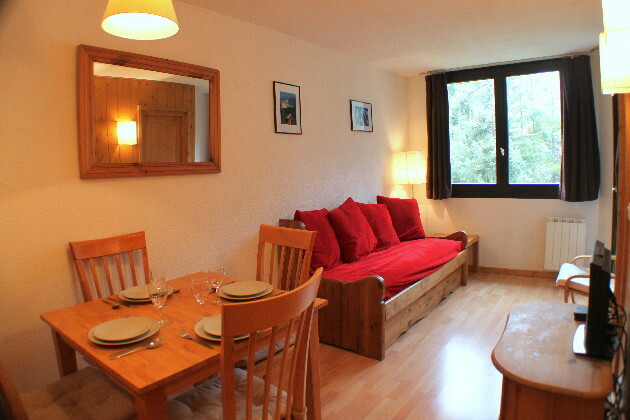 Claro is a great apartment just a few minutes' walk from central Chamonix. 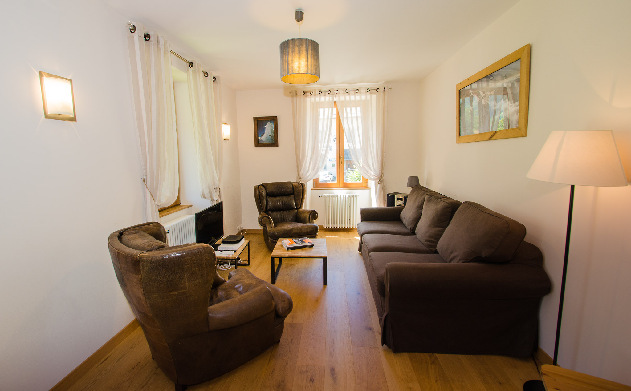 Its clever arrangement of bedrooms means it can sleep up to 10 people in 4 bedrooms, and it has a fully equipped kitchen, bright living /dining area and a sunny balcony with views of the mountains. 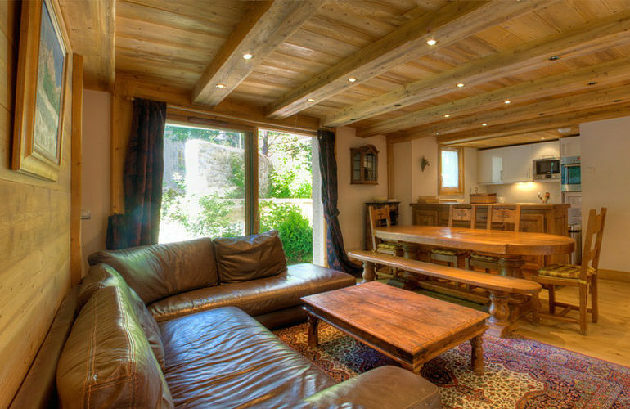 It's a real home from home, and you get to really live like a local in Chamonix! 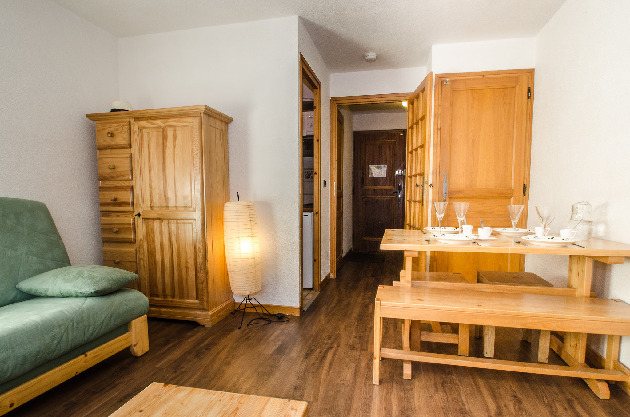 There is free wifi throughout, a fully equipped kitchen with stove, double oven, microwave, washing machine and tumble dryer. 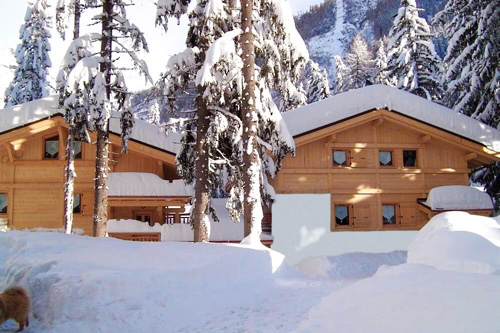 There is an outside car park for the building, and the apartment also has a private garage, with ski storage. Apartment Khumbe is a duplex apartment set over 2 floors. 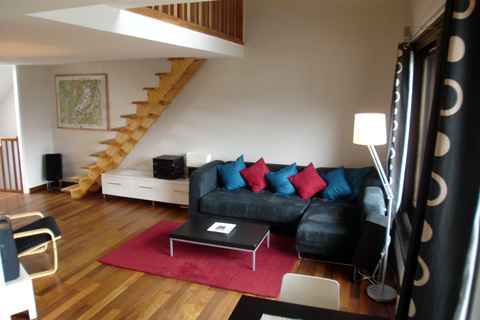 It has three spacious double bedrooms and a mezzanine area sleeping an additional 2 guests. 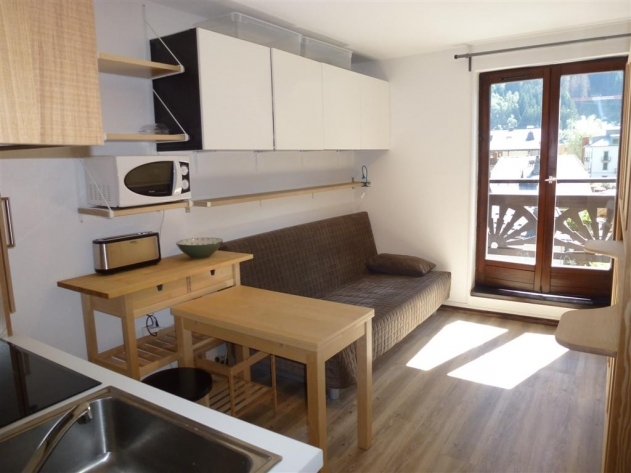 The apartment is modern and all set up with everything you need for a great holiday, with wifi, a designated underground car parking space, ski locker, and a lovely balcony. 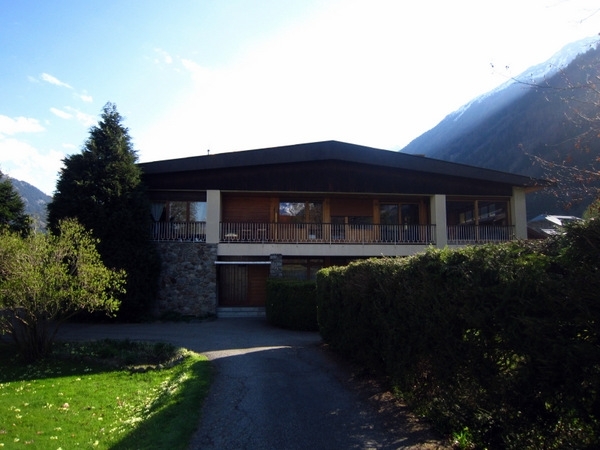 The building is modern and well placed in the very centre of Chamonix just a few steps from the main pedestrianised street, and from the main ski bus stops. 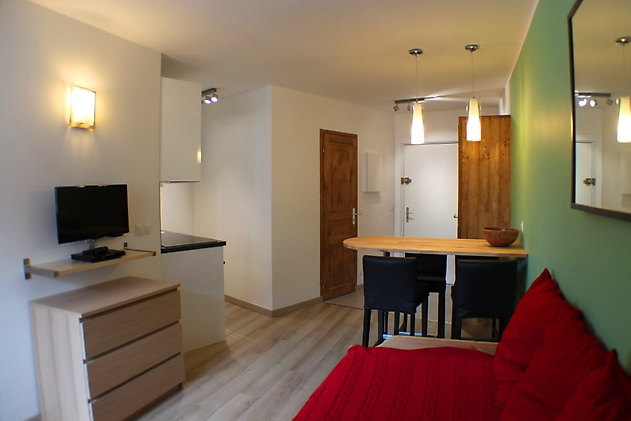 Apartment Isla is a stylish and spacious apartment with three bedrooms and 2 bathrooms. It can comfortably sleep six people. 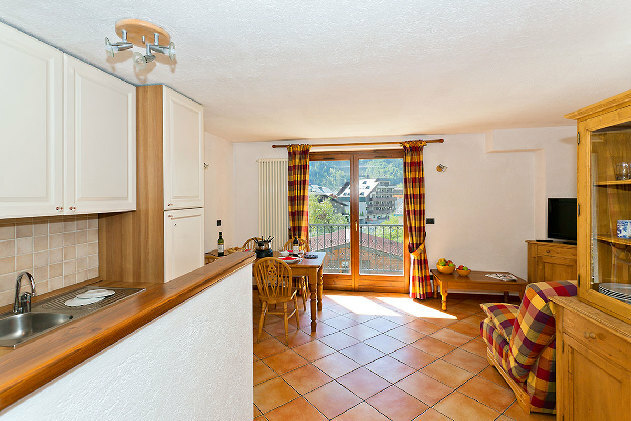 It has a fully equipped kitchen, bright living area and a sunny balcony with truly stunning views of the mountains. 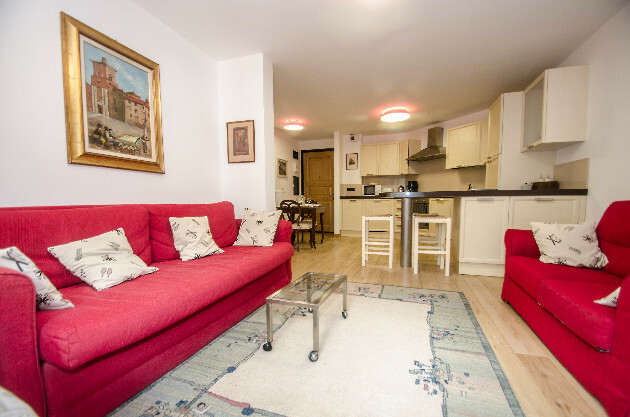 There is free wifi throughout, fully equipped modern kitchen and a washing machine and tumble dryer. 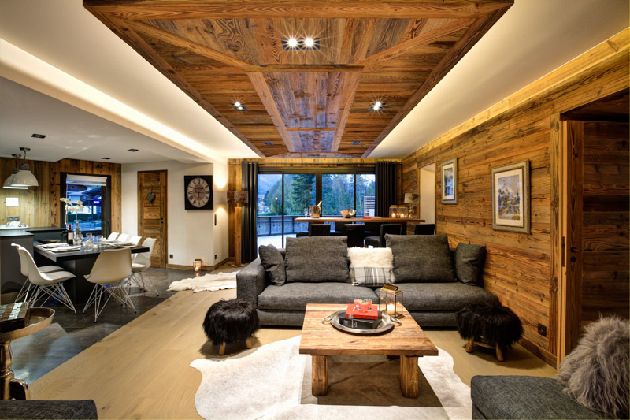 The apartment has a designated underground parking space and a ski locker. 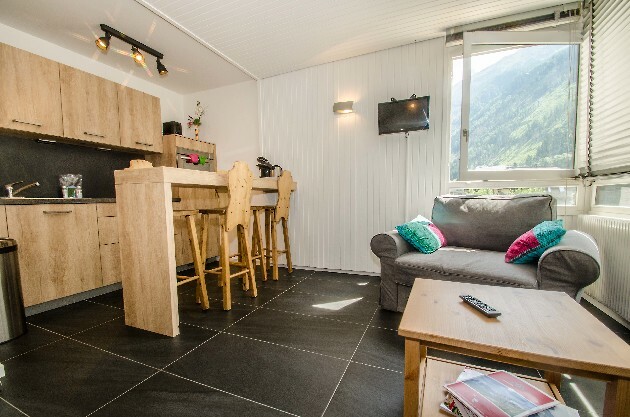 Boulder is a stylish and comfortable 3-bedroom apartment, in a great location near the Planards nursery slope in central Chamonix. 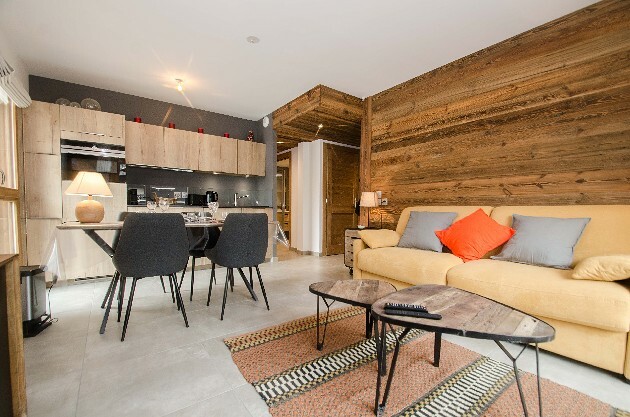 Apartment Hickey is a 3-bedroom apartment located in the Alpes building, a bright and modern development right in the centre of Chamonix. 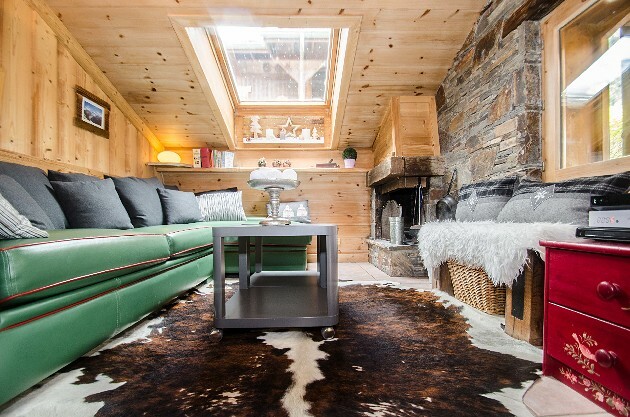 Chalet Suisse - The Library is a newly refurbished two bedroom apartment located in the centre of Chamonix. 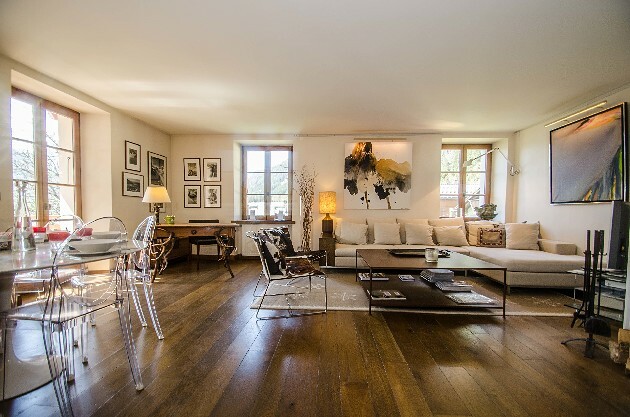 It's in a long-standing Chamonix residence that has been completely renovated and the apartment has been lovingly styled and furnished. It has a parking space and a ski locker. 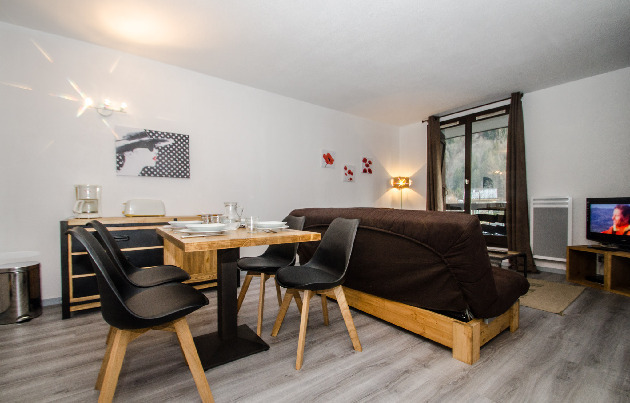 THE APARTMENT Apartment Kine is located in the Alpes building, and provides central Chamonix accommodation in a bright and modern development. 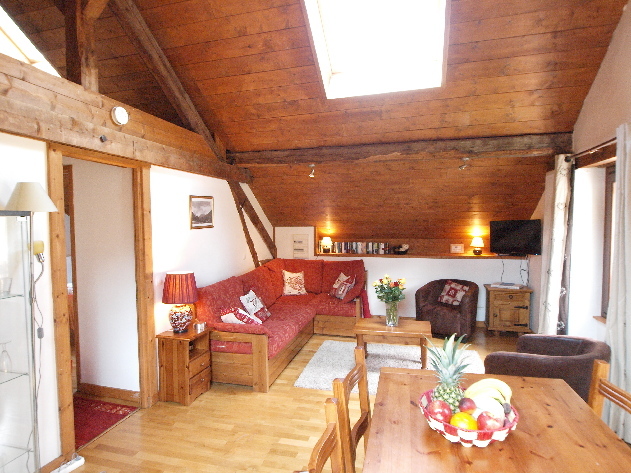 It has three bedrooms so can comfortably sleep 6, as well as a lovely balcony space with great views. 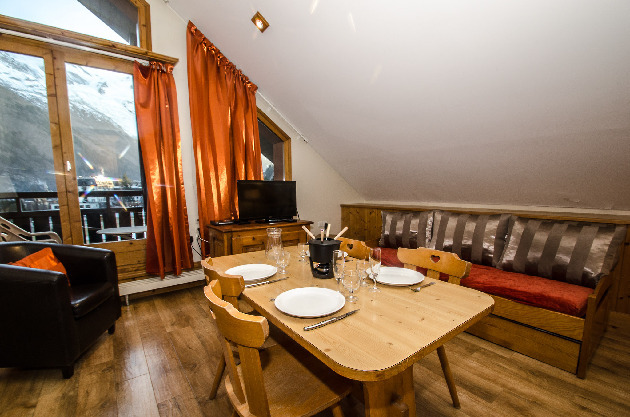 The apartment has free wifi throughout, a washing machine, tumble dryer, underground car parking space and designated ski locker. 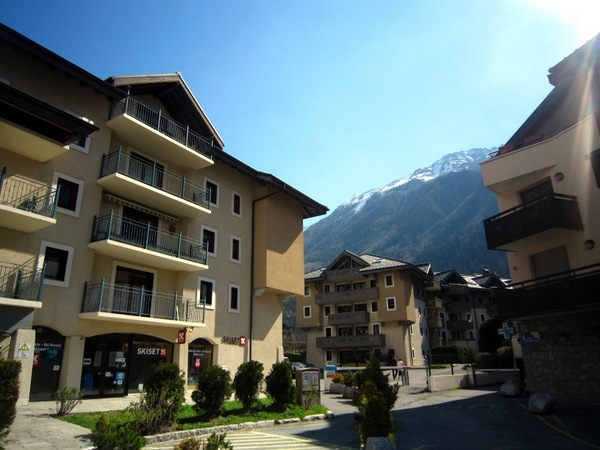 THE LOCATION The Alpes building is a bright and modern development right in the centre of Chamonix. 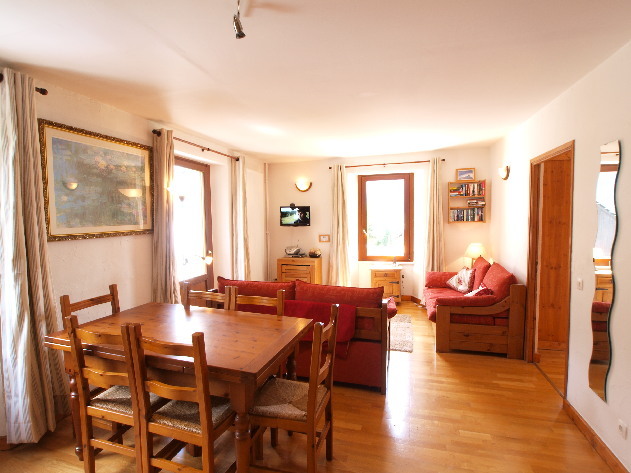 It sits beside the river that runs through the centre of town, with great views of the Aiguilles de Chamonix. 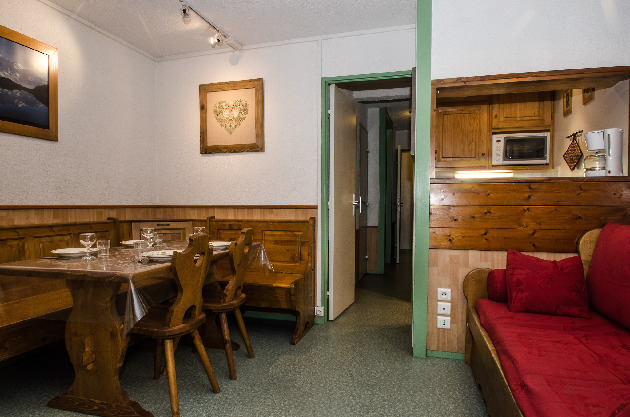 It is literally a stone’s throw from the shops, bars and restaurants of Chamonix. The bus stop is a few minutes walk away and in the summer, the trails are walking distance from the apartment. 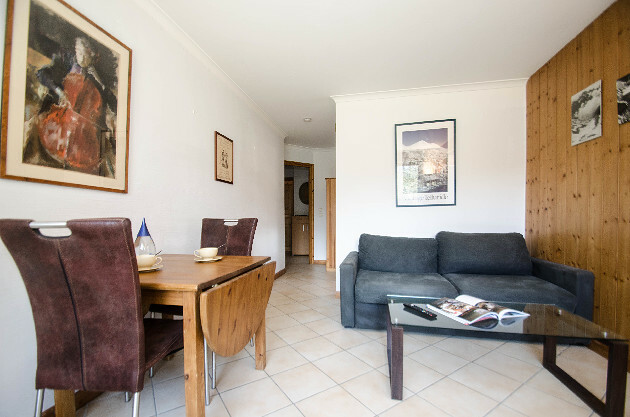 The apartment is also a short walk from the 50m outdoor pool, the tennis courts, and the adventure park. 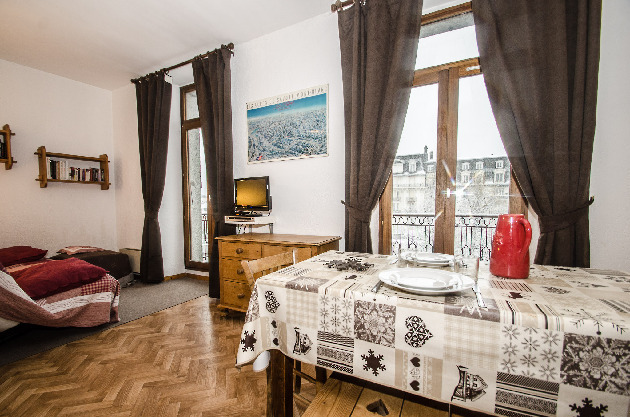 Newly renovated with the highest standards of renovation, great materials and equipment, the apartment is a 2-bedroom place that can sleep 5 persons. 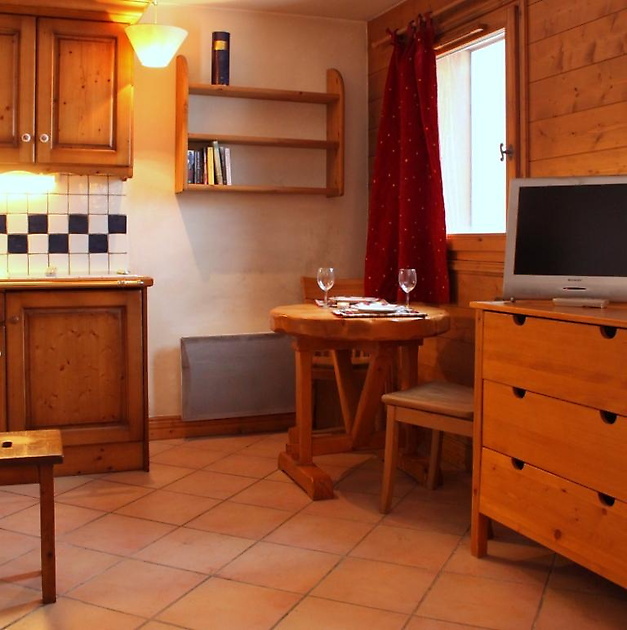 Apartment Tailor is located in Mont Roc, a small hamlet below Le Tour. 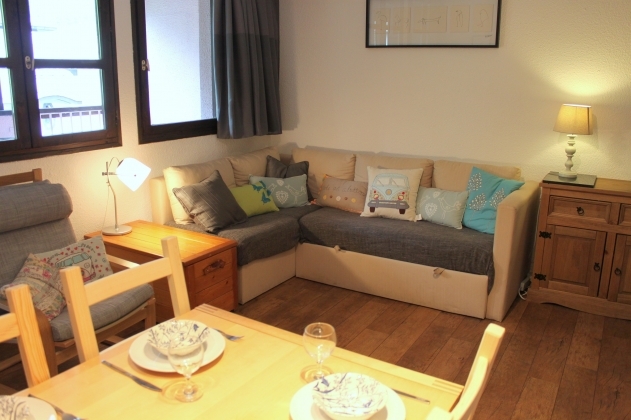 The apartment can sleep up to 5 guests. Location location location..... 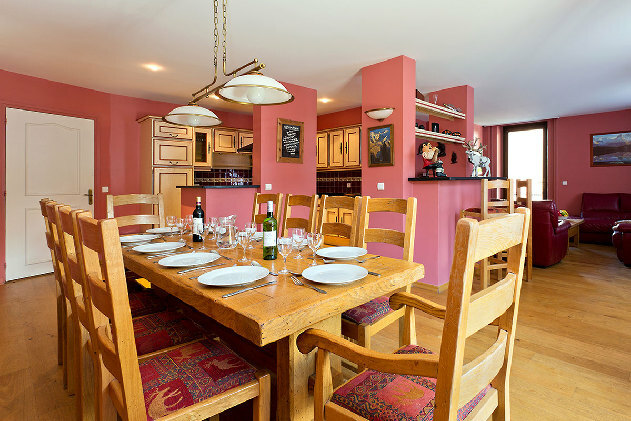 Apartment Pink is Ski in and ski out, located at the bottom of the Grand Montets ski lift, walking distance to the Panda ski school. 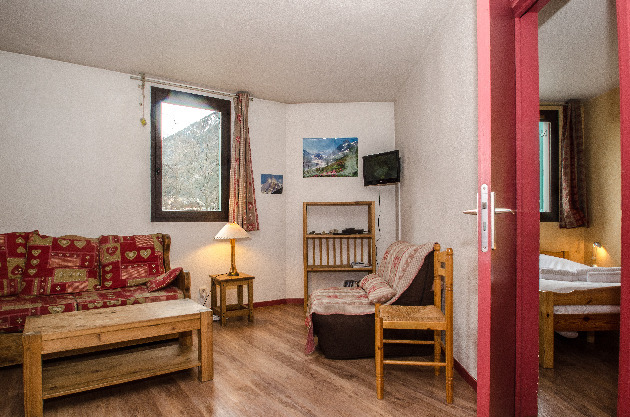 Apartment Pink is the first floor of Chalet Hannah in Argentière with view of the Chardonnet mountain & 10 minute walk to the village by scenery path through the woods. 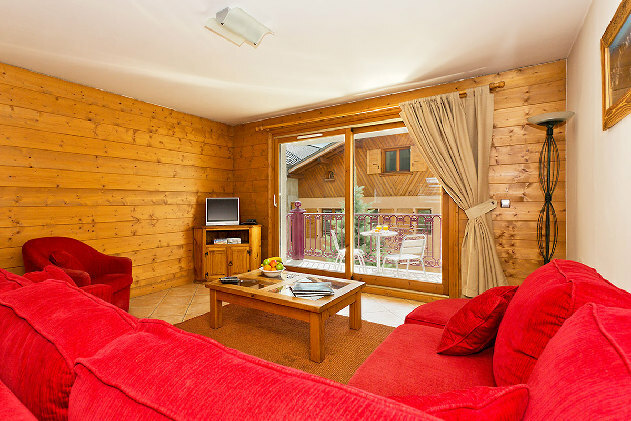 Apartment Pink has the comfort of sharing the indoor swimming pool, sauna and Jacuzzi with Chalet Hannah. 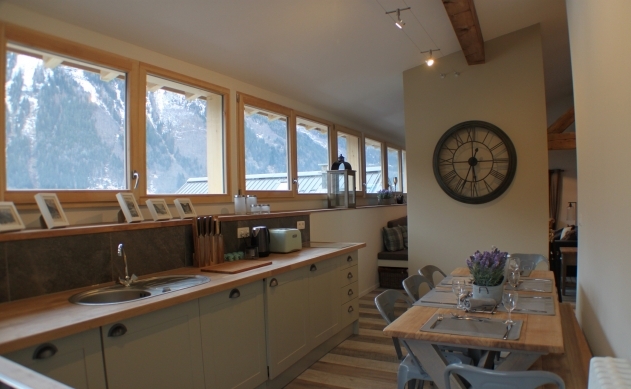 Apartment Starsunstone is a brand new property located in the heart of Chamonix. 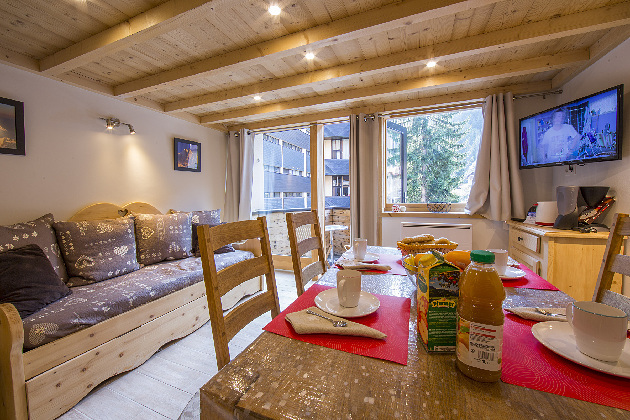 Next to the historical Place de La Mer de Glace in the center of Chamonix, Apartment Starsunstone provides well-priced 5-star accommodation both winter and summer. 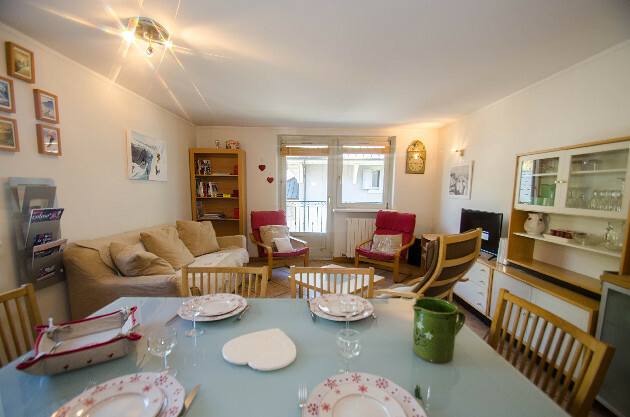 The apartment has 4 bedrooms and 3 bathrooms and can accommodate up to 8 guests very comfortably, Accessed from the living room is a sun terrace, which overlooks the stunning panorama of both Chamonix town and Mont Blanc. 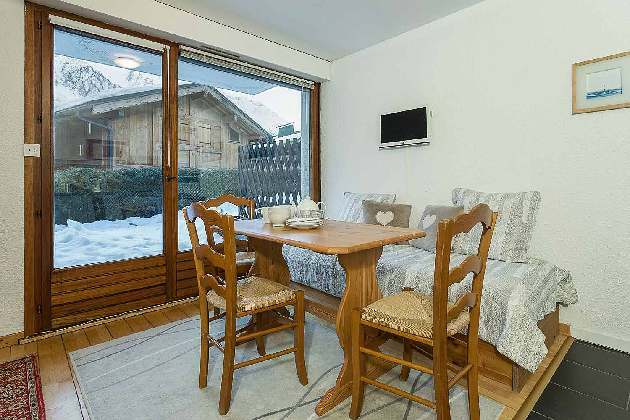 Private ski locker, boot warmers, infrared saunas, TV in all bedrooms – the apartment is perfectly suited for everyone who wish to have a super comfortable Alpine holiday, yet with all the shopping and buzz at only a stones throw away. 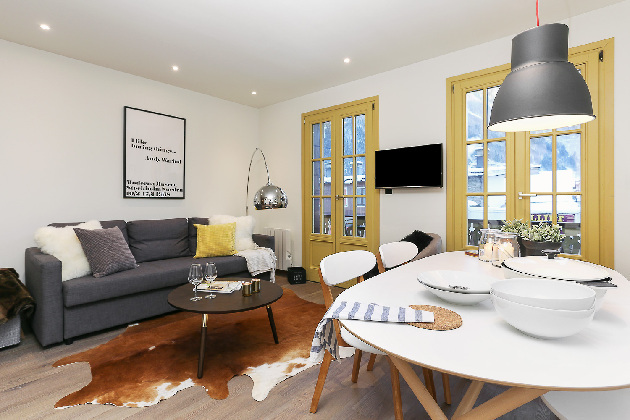 Apartment Moonstone is a brand new property located in the heart of Chamonix next to the historical Place de La Mer de Glace. Apartment Moonstone provides well-priced 5-star accommodation both winter and summer. 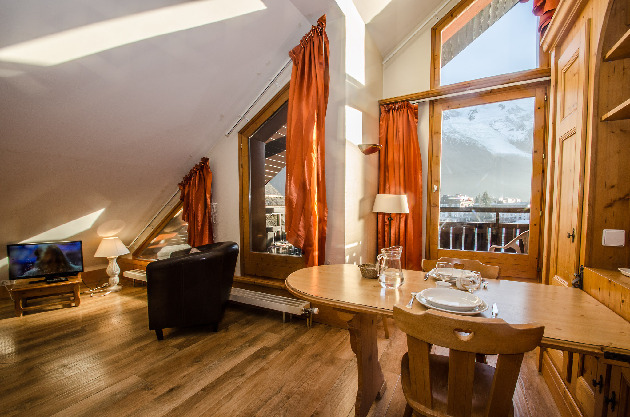 The apartment has 4 bedrooms and 4 bathrooms and can accommodate up to 8 guests very comfortably, Accessed from the living room is a vast sun terrace, which overlooks the stunning panorama of both Chamonix town and Mont Blanc. 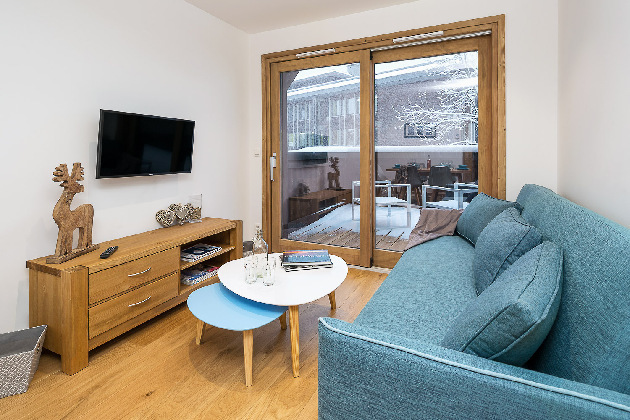 Private ski locker, boot warmers, infrared saunas, TV in all bedrooms – the apartment is perfectly suited for everyone who wish to have a super comfortable Alpine holiday, yet with all the shopping and buzz at only a stone's throw away. 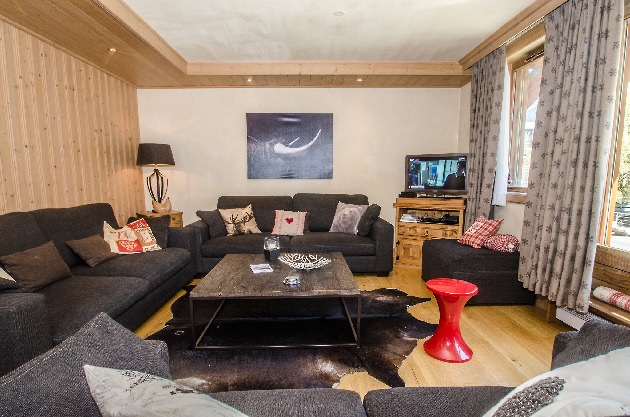 Boutique 2 bedroom ski apartment in Chamonix town, 200m from the piste and ski lift, refurbished in 2013. 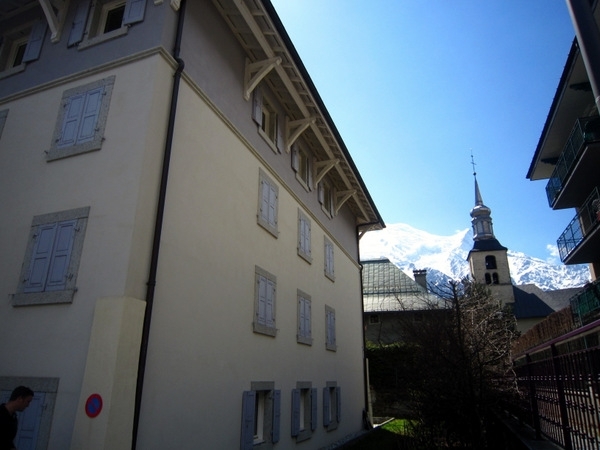 The panoramic building is on the edge of Chamonix town centre. 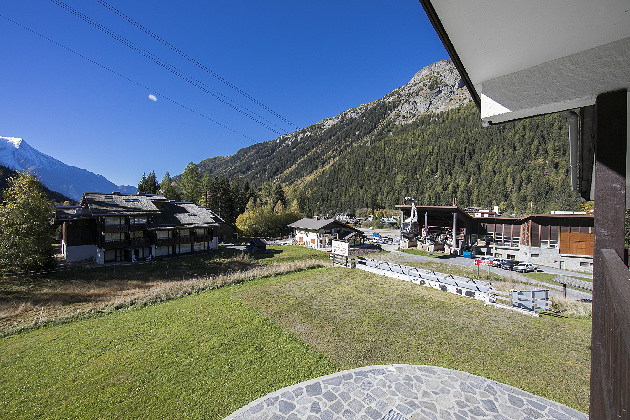 The main shopping street and ski lift at La Savoy are both only 5 minutes walk away, and the sports centre the same. 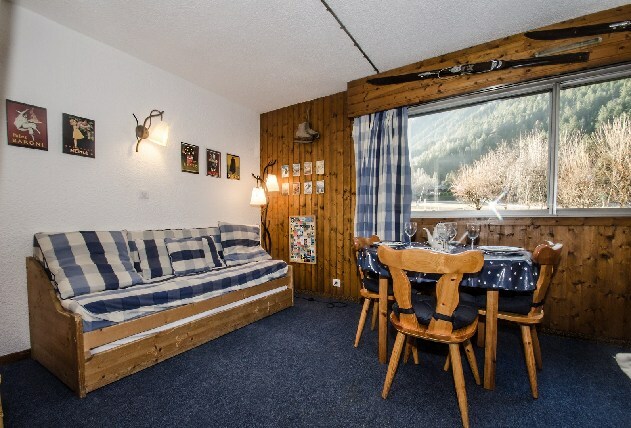 This is a perfect location for a Chamonix ski holiday as you are close to everything you need, but far enough from the centre for it to be peaceful. 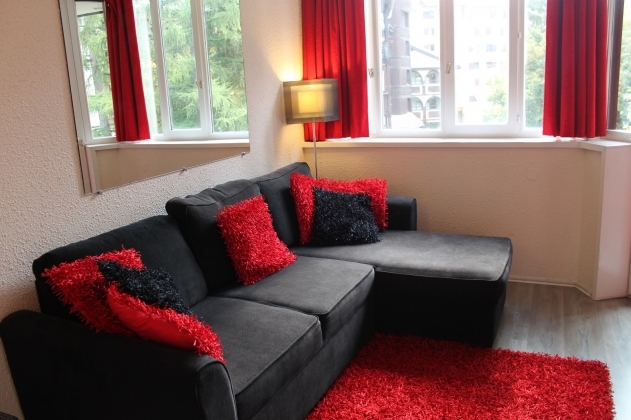 This apartment sleeps 6 people in two bedrooms (a double and a twin / double) and a double sofa bed. The dining table seats six. 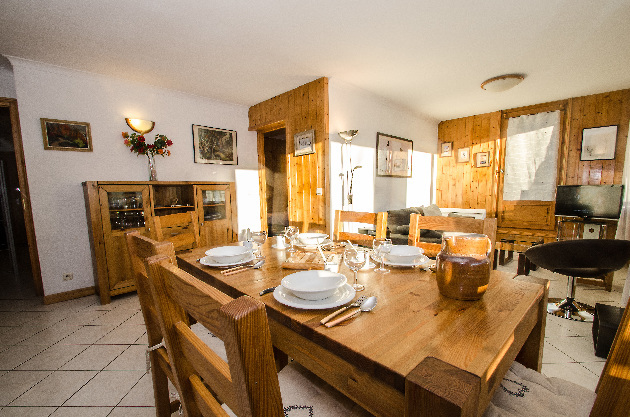 Savour a fun-filled Honeymoon or family Ski break, with this beautiful garden retreat close to the Ski lift! 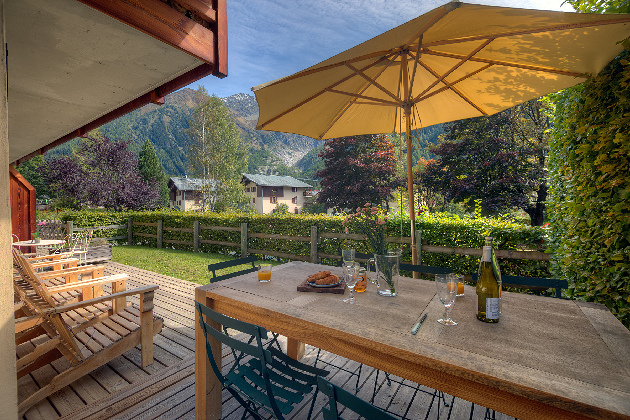 Surrounded by picturesque Mont Blanc views, this utterly charming and accessible garden-level retreat offers a gorgeous setting for year-round couple breaks and family getaways. 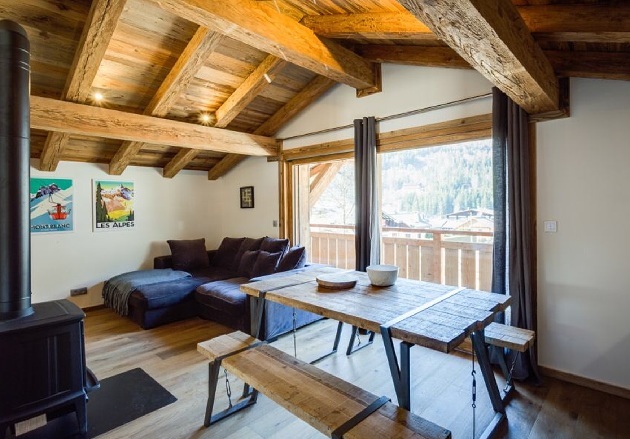 Make the most of the slopes, with this scenic group retreat just 100 metres from the Ski lift!nnPerfect for a couple, family group or friends, this timeless mezzanine floor apartment offers a wonderful base just 2 minutes’ walk from the Les Grands Montets ski lift. 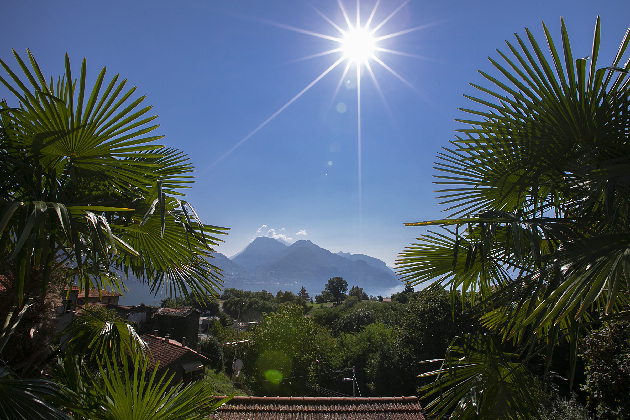 Take in majestic mountain views, from this ambient balcony retreat with pool access and central location! 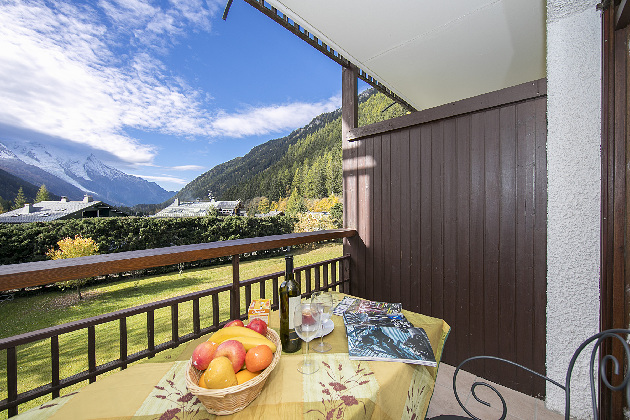 Make the most of the French Alps, with this gorgeous family-friendly Duplex apartment!Set within 2 minutes' walk of the Les Grands Montets ski lift, this beautiful balcony retreat offers a timeless holiday base for those in search of a year-round Alps break. 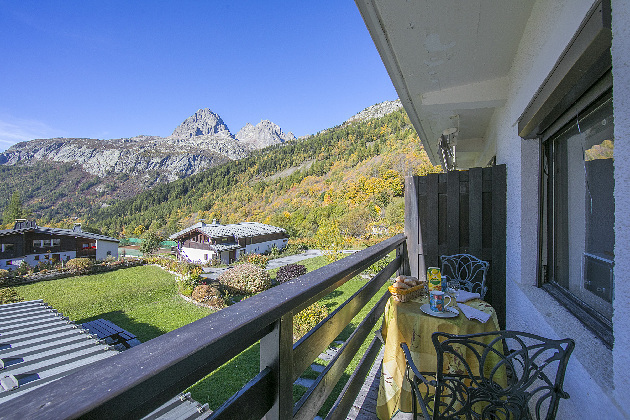 Enjoy a timeless ski break or walking holiday, from this traditional balcony retreat with shared pool!nnProviding a great winter base from which to reach the Grands Montets Ski lift and perfectly poised for summertime stays (with its shared on-site swimming pool), this 1st floor balcony retreat offers a wonderful excuse to make the most of a beautiful year-round getaway in Argentière. 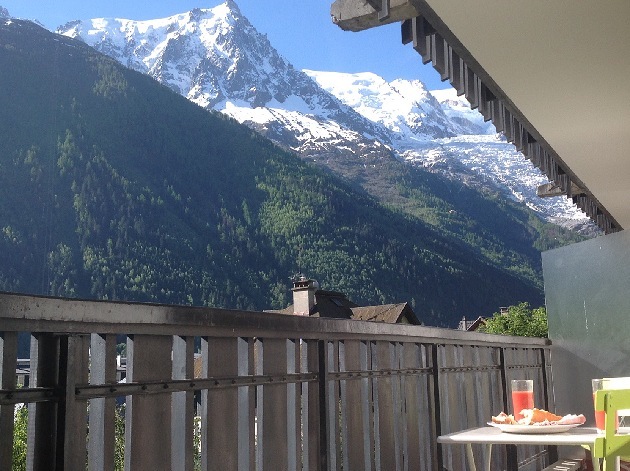 Escape to Mont Blanc, with this conveniently-placed balcony retreat with shared outdoor pool! 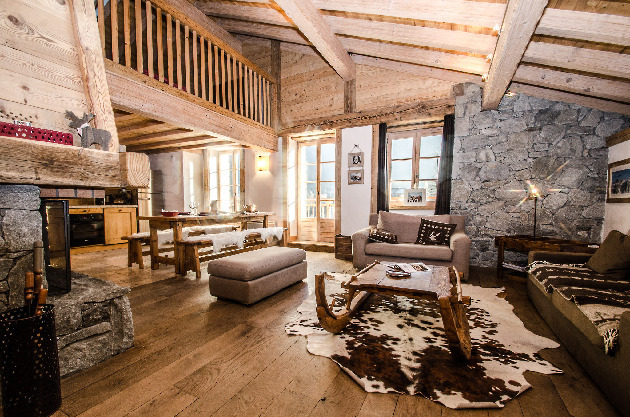 Situated 5 minutes&#38;rsquo; walk from the Les Grands Montets ski lift and a 14-minute drive away from Chamonix, this classic retreat provides a stress-free ski base for 5. 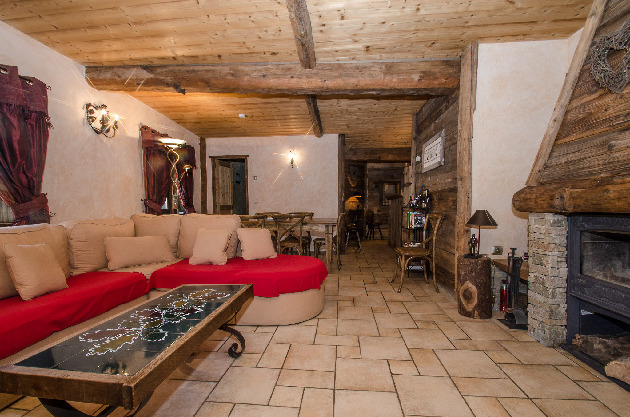 Very high quality 90 square meters apartment, 1st floor of a traditional house 105, chemin des Chosalets - Close to the cable car of Grands Montets in Argentiere. 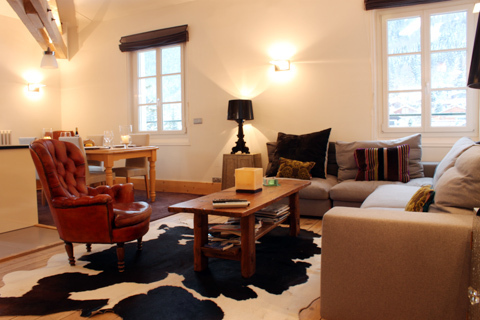 Sleeps 6 guests in 3 double bedrooms, 2 with ensuites. 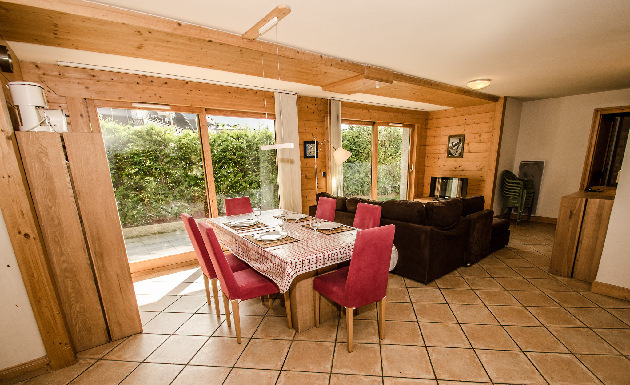 Its all about location, Ski in and ski out, located at the bottom of the Grand Montets ski lift, walking distance to the Panda ski school. 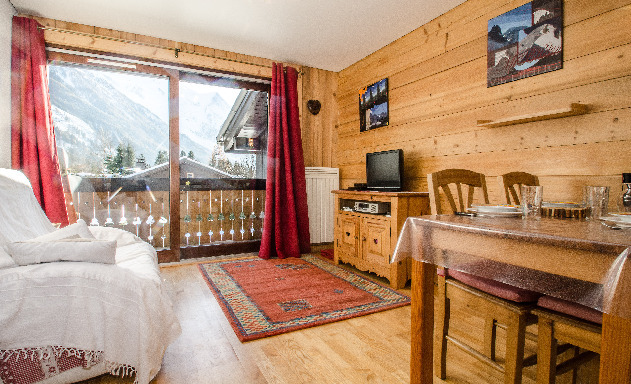 Apartment Hotsprings is on the second floor of Chalet Hannah in Argentière with view of the Chardonnet mountain & 10 minute walk to the village by scenery path through the woods. 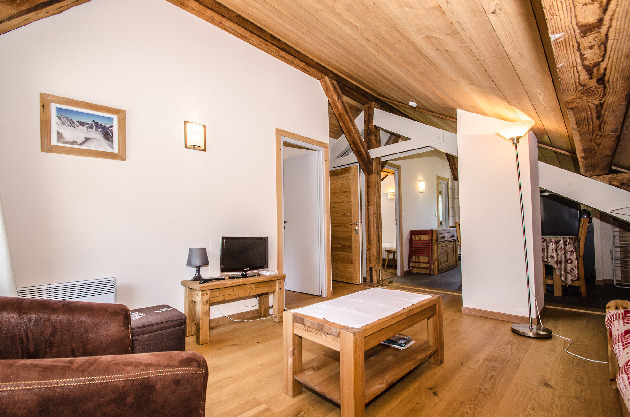 Hotsprings has the comfort of sharing the indoor swimming pool, sauna and Jacuzzi with Chalet Hannah (access through the garden). Also please note that Apartment Hotsprings has a height restriction. 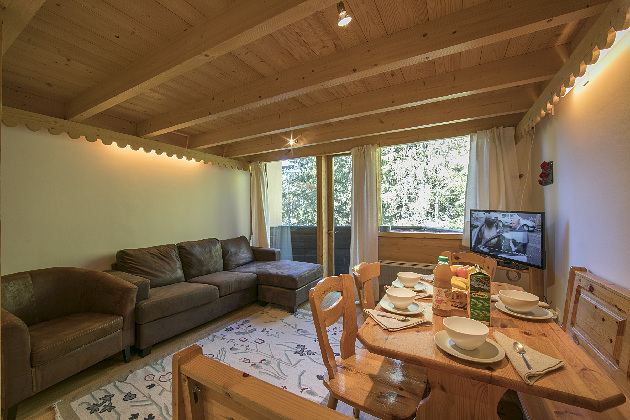 Enjoy an easy-going winter-time break, with this versatile Duplex for 5!nnSet within a 200 mt walk of the Les Grands Montets ski lift, this super adaptable Duplex offers a flexible holiday base for laid-back groups of family and friends. 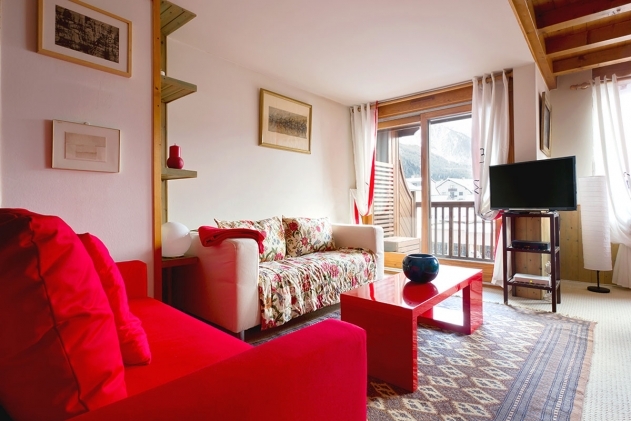 With this family-friendly holiday Duplex, groups can easily discover the slopes and year-round highlights! 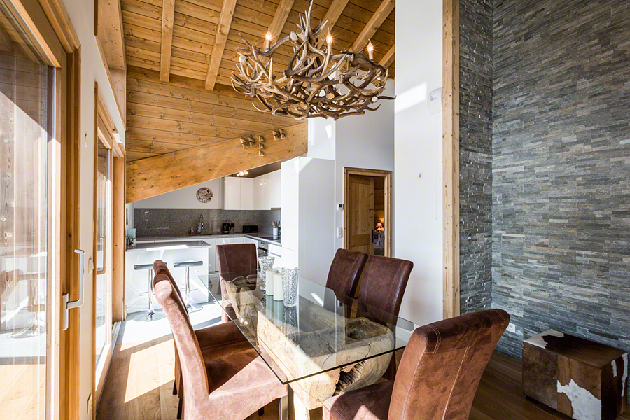 Nestled within a natural green setting just 2 minutes walk away from the Les Grands Montets ski lift, this versatile family Duplex sets the scene for a serene and stress-free ski break! 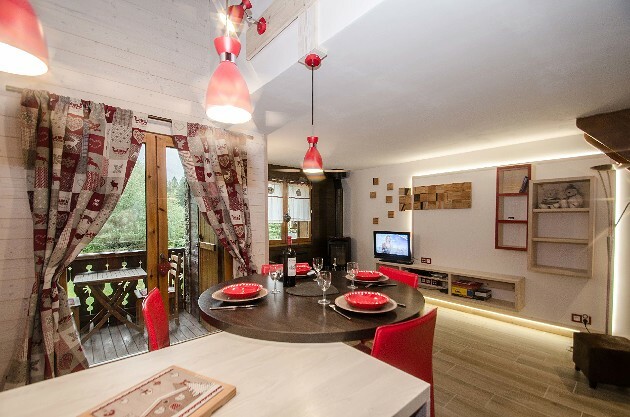 Escape to a beautiful family retreat, with private balcony and carefree proximity to the Ski lift!nnSet within 2 minutes’ walk of the Les Grands Montets ski lift, this well-presented Duplex provides a carefree ambience for year-round family get-togethers. 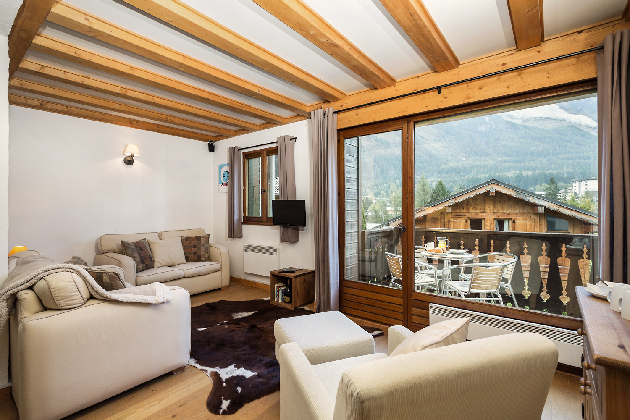 Take to the slopes, with this flexible family-friendly Duplex for 5!nnPlaced within 2 minutes’ walk of the Les Grands Montets ski lift, this beautiful balcony apartment offers a timeless holiday base for winter ski breaks and year-round getaways. 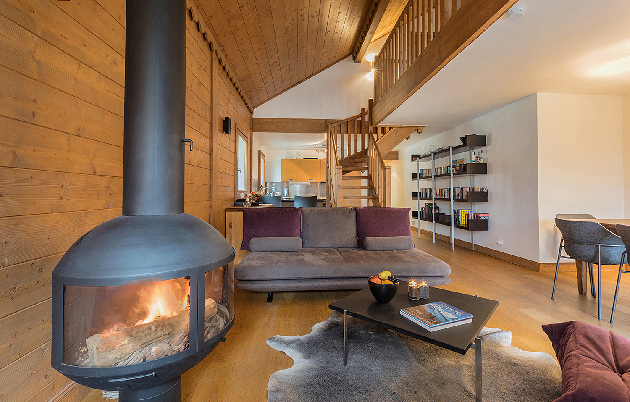 Take to the slopes, with a blissful stay in this gorgeous chalet-style Duplex for 4!nnLocated within 2 minutes’ walk of the Les Grands Montets Ski lift, this beautiful 1st floor balcony apartment offers a timeless holiday base for those in search of a well-rounded ski break. 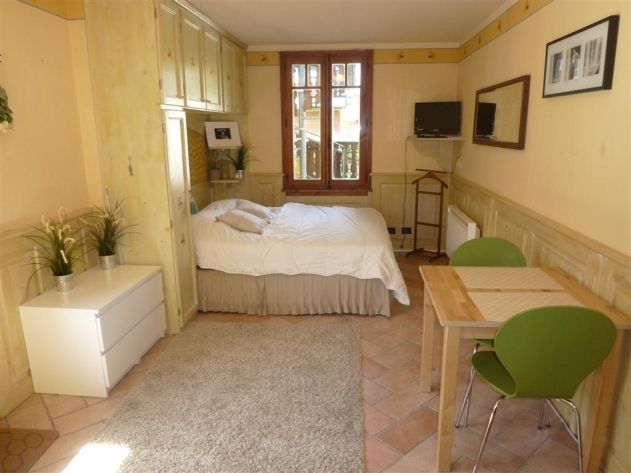 Jacinth : Nice and comfortable 45sqm apartment in Le Tour, in South exposure, with view of the Mont-Blanc range, for 4/5 persons. 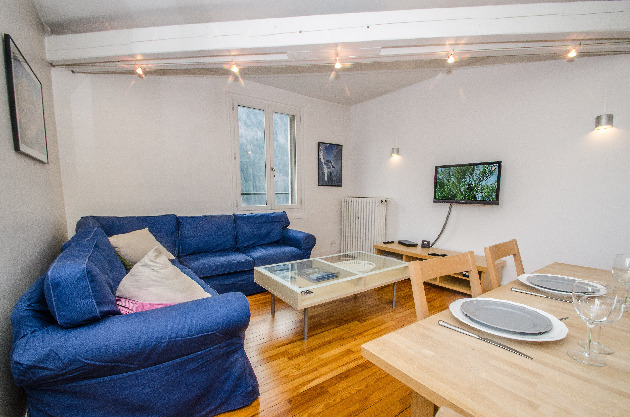 Cosy renovated 3 room apartment, 33 sqm, for 4 people, 2nd floor of a residence without lift located in the residential area of Les Pecles , 400 meters from the pedestrian street of Chamonix. 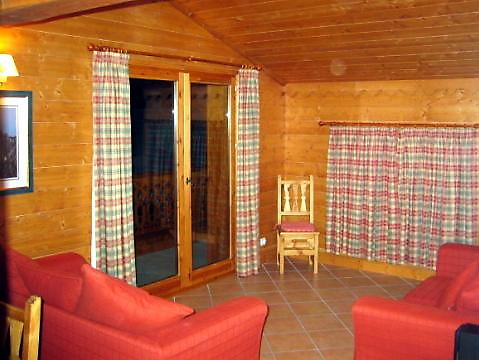 Charming 31sqm studio for 2/3 people, on the 3rd floor with elevator of a residence located in Praz, in the area of Champraz. 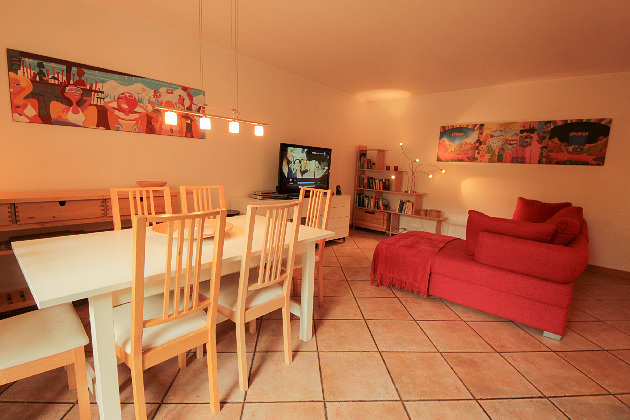 Cosy 45sqm, 3 room apartment for 4 people, 1st floor walk up close to the pedestrian street, in a quiet area. 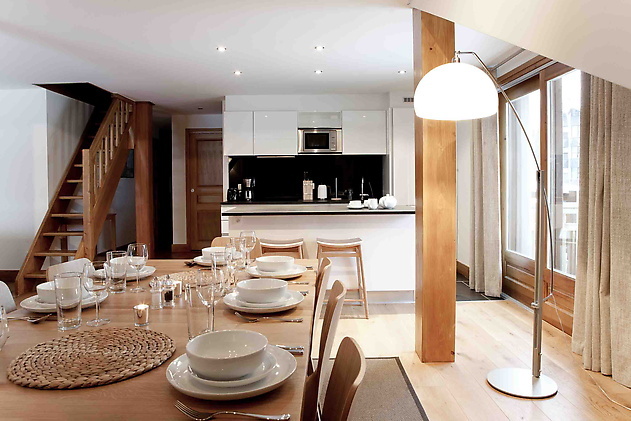 The apartment is located in a modern luxury residence in the very centre of Chamonix. 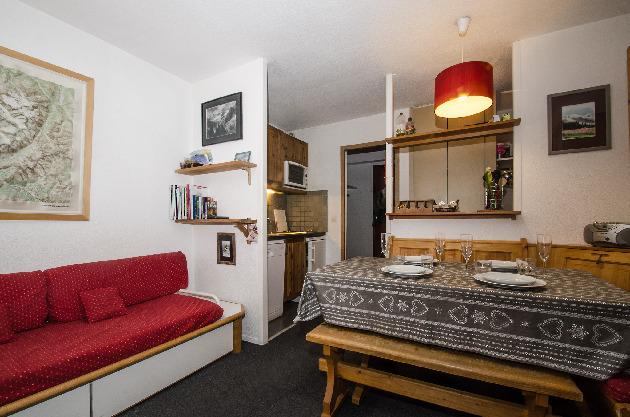 The apartment has three double bedrooms, two bathrooms and two WCs. 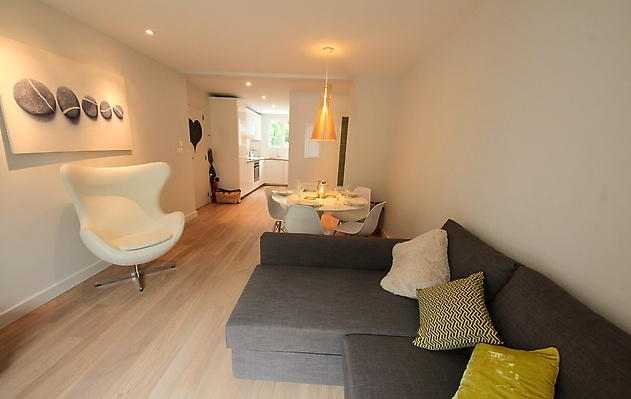 There is a spacious living room and dining room. 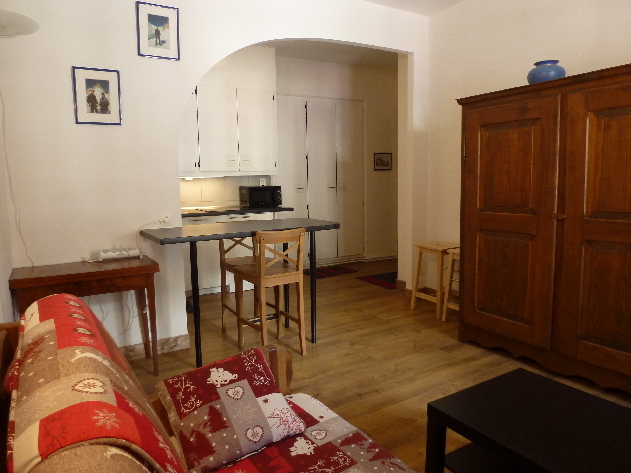 It is a charming apartment, all set up with everything you need for a great holiday. The kitchen is fully equipped and has a quality granite countertop. The living room is equipped with a TV, DVD and Wifi. 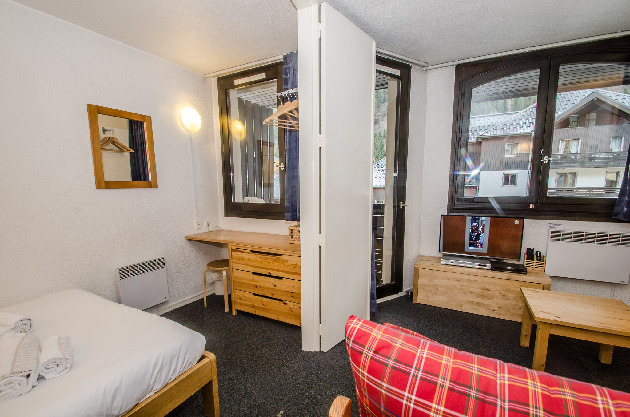 There is also a washing machine and tumble dryer in the apartment, and a ski locker. 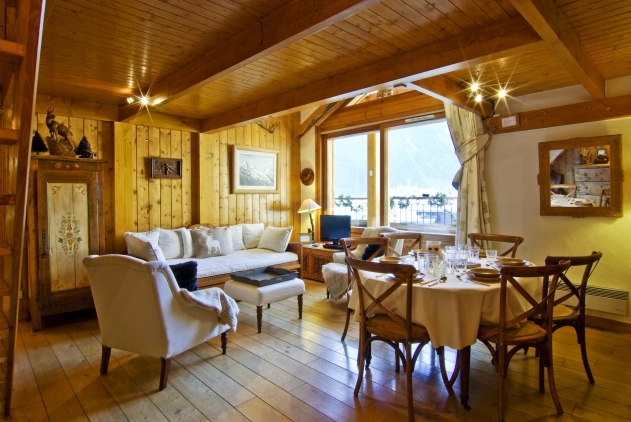 The apartment is a luxury superb self-catering ski apartment located in the centre of Chamonix in a prestige residence right next to the slopes. Apartment size 75sqm on level 0. 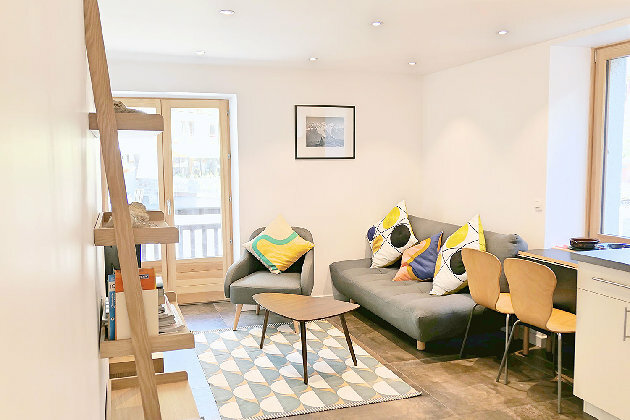 Sleeps up to 10 in 3 bedrooms and lounge: 1 double bedroom, 1 double/ twin bedroom, 1 quadruple bedroom (2 set of full-size bespoke bunk beds), 1 double blow up bed in lounge for optional use. 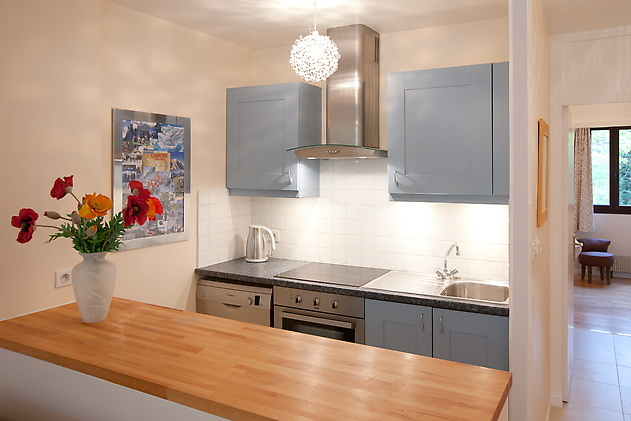 Fully equipped luxury kitchen with conventional oven, dishwasher, extractor fan, large fridge-freezer, induction hob, microwave oven, Nespresso coffee machine, washing machine and separate tumble drier. 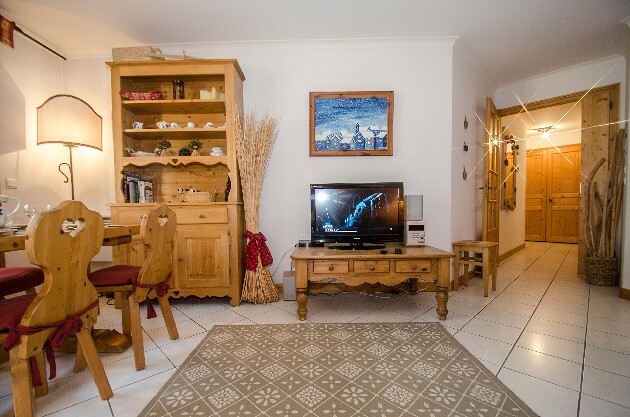 Large spacious lounge with HD TV (with UK freeview channels), Apple TV, CD and DVD player, Sonos Wi-Fi music system, PlayStation (some games and DVDs provided), 2 comfortable sofas, dining table and chairs to seat 10. 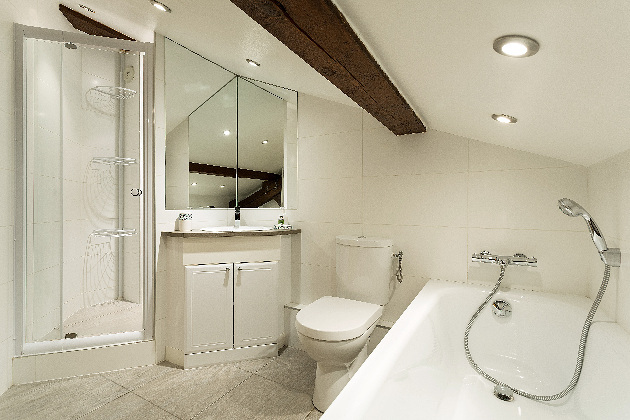 Two family bathrooms with large showers, wash basin, mirror and shelf storage, one with a WC; separate WC/ washroom. 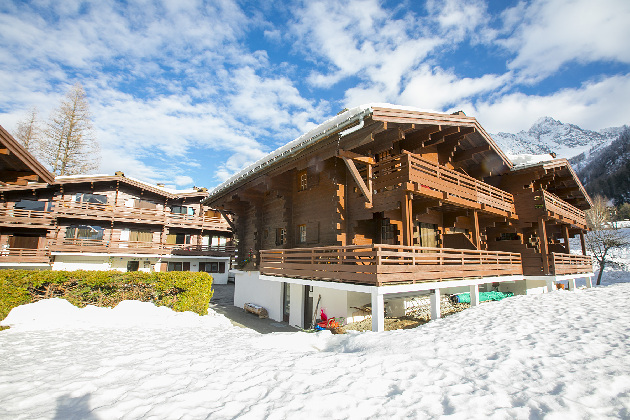 Large terrace with good views, lift access, private garage (garage height 2m), secure ski locker plus ski boot warmers inside apartment. Good views of the Mont Blanc Massif available from outside the apartment. Iron/ ironing board and hairdryer provided. WI-FI free wireless ADSL internet connection (from Mid July 2016). 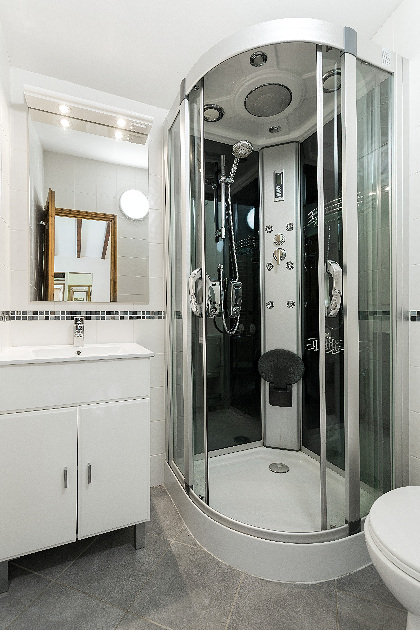 Ground floor apartment which can fit wheel chairs through doors including a seat in the shower. 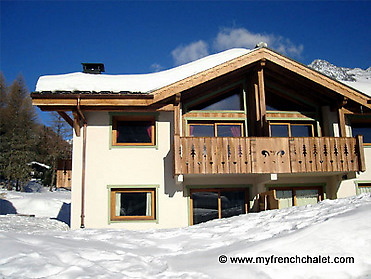 Ski lift Le Savoy/ Brevent link across the road, ski bus stop 20 meters away, ski lift Aiguille du Midi 5 minute walk, Chamonix main ski school (Maison de la Montagne) and tourist office 100 meters away. 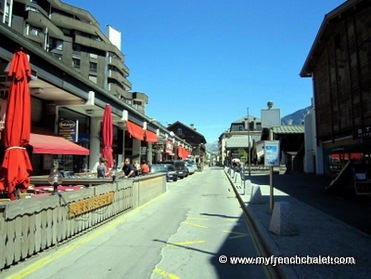 Centre of town: boulangerie, bars, cafes and restaurants, ski hire shop, supermarkets, other amenities all within 1 minute walk. 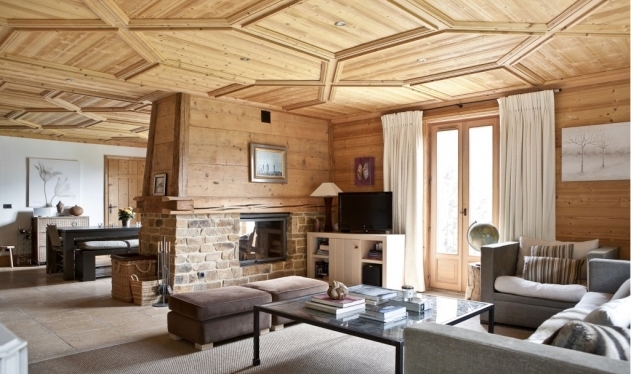 Developed and fitted to an extremely high specification - full bespoke pine panelled interior. Other apartments available in complex making larger groups possible. 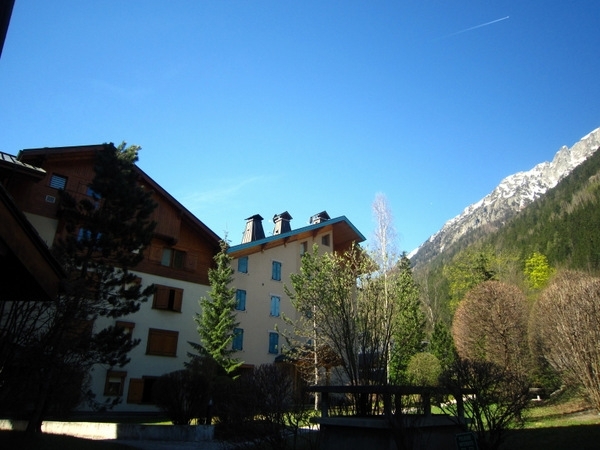 Very nice 58 sqm 3 rooms apartment for 4/6 people, 1st floor of residence with lift located in the heart of Chamonix, close to the slopes of Savoy. 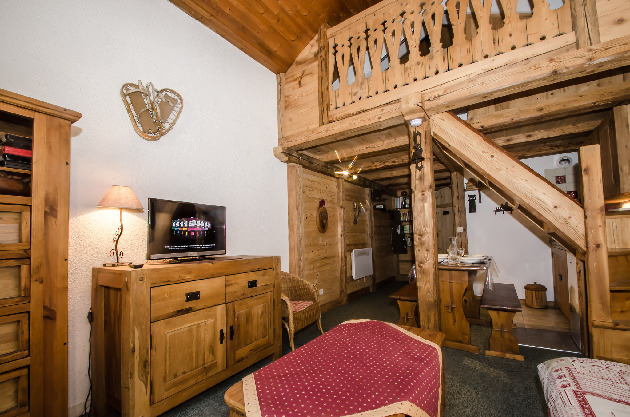 Cosy 65 sqm apartment for 4/6 people, 2nd floor of the residence with lift "Les Chalets du Savoy", located at 200 meters from the skiing area "Savoy - Brevent" and 300 meters from Chamonix pedestrian area. 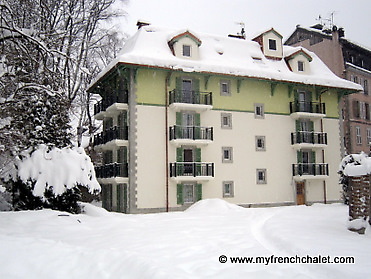 56 sqm apartment for 4/5 people, 1st floor of the residence with lift Chalets du Savoy; located at 200 meters from the slopes of Savoy/Brevent and 350 meters from the pedestrian area of Chamonix. 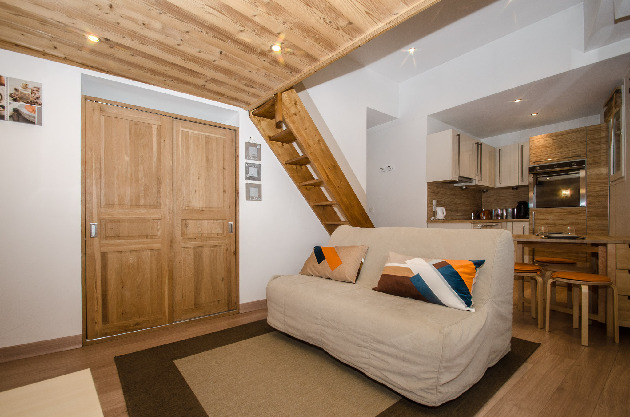 Cosy 35 sqm two room apartment for 2/4 people, fully renovated, 4th floor of a residence with lift located in the area of Chamonix Sud. 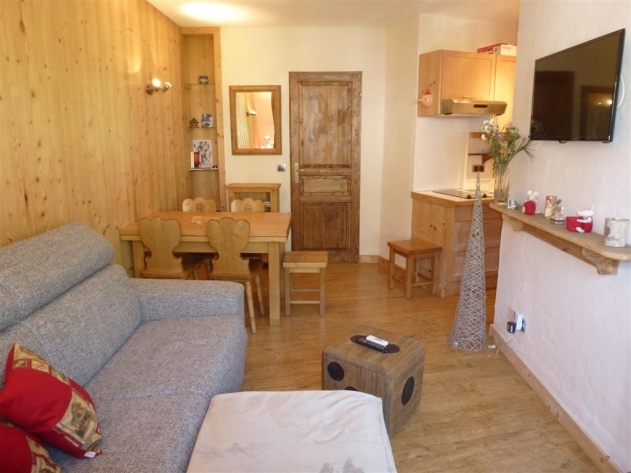 Cosy 37sqm apartment, 3 room, for 4 people, 1st floor of a small residence (without lift) located in the residential area of Les Praz de Chamonix. 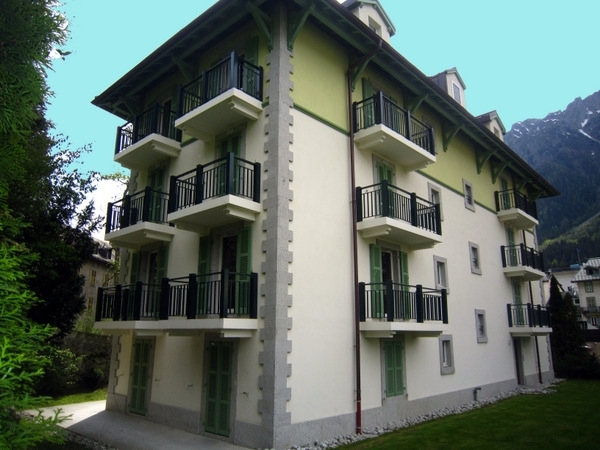 35 sqm apartment for 2/4 people, 2nd floor of a residence with lift located in the heart of Chamonix, beginning of the pedestrian street. 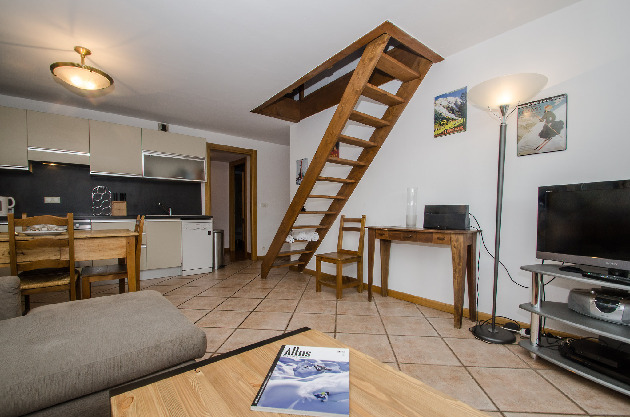 Bright 3 room apartment, 60 sqm, for 4/5 people, 7th floor with lift of the residence Majestic (warning, lift goes until 6th floor, access to the 7th floor by stairs), located above the pedestrian street of Chamonix, close to the slopes of Savoy/Brevent. 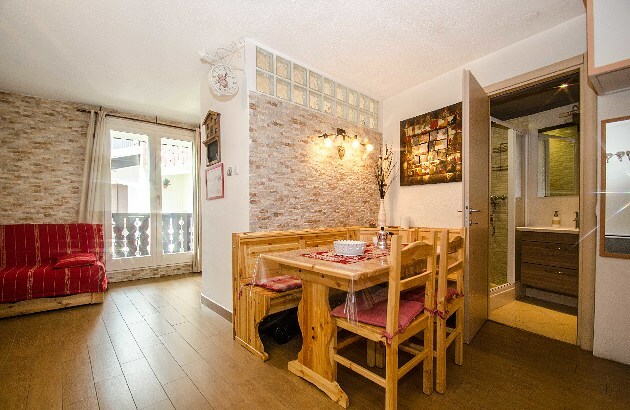 Two rooms apartment, 42 sqm, for 4/5 people, 1st floor of a building with lift, located in the area of Chamonix Sud, 5 mn walking from the town center of Chamonix. 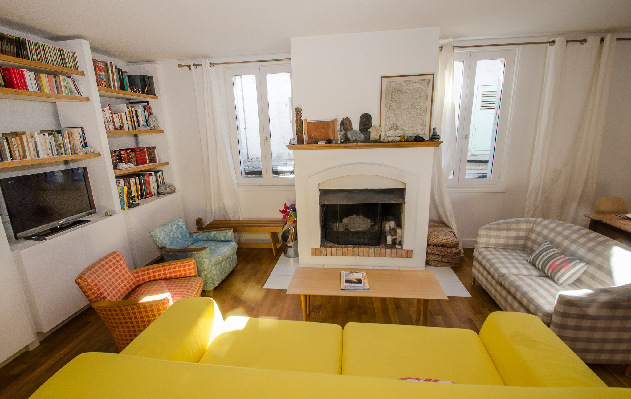 Bright 3 room apartment in duplex of 40 sqm for 4 people, on the ground floor and 1st floor of a residence (without lift) located in the residential area of Les Pecles, 400 meters from the pedestrian area of Chamonix. 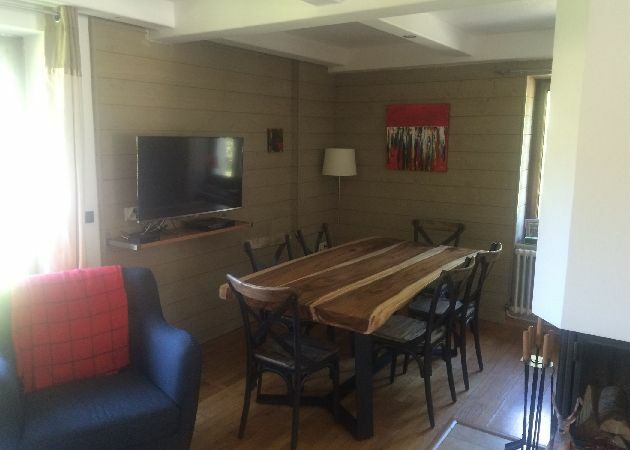 25 sqm studio for 2/4 people, 5th floor of a residence with lift located in Chamonix sud, 350m from Chamonix pedestrian area. 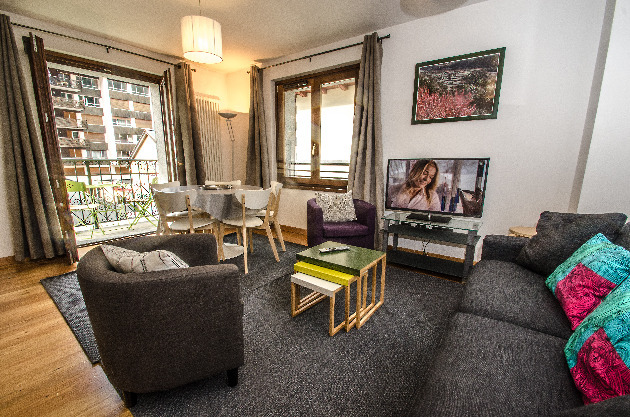 This fabulous apartment is located in the Alpes building, and provides central Chamonix accommodation in a bright and modern development. It has one bedroom and a sofa bed, so can comfortably sleep 4. 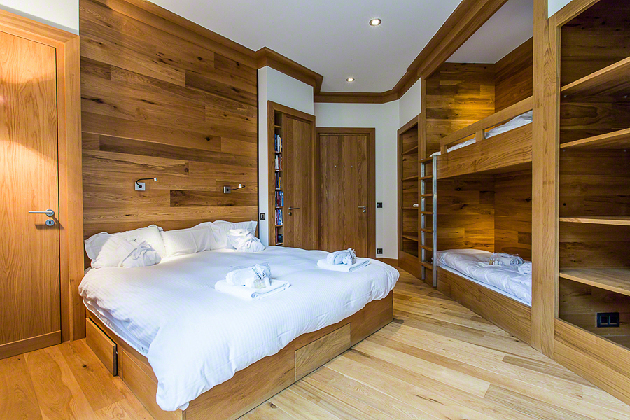 The apartment has underground car parking space and designated ski locker. Apartment Jasper has three bedrooms and a sofa bed in the living room. You can comfortably sleep 8 (there's an additional charge of €25 for a sofa bed linen pack if you need one). 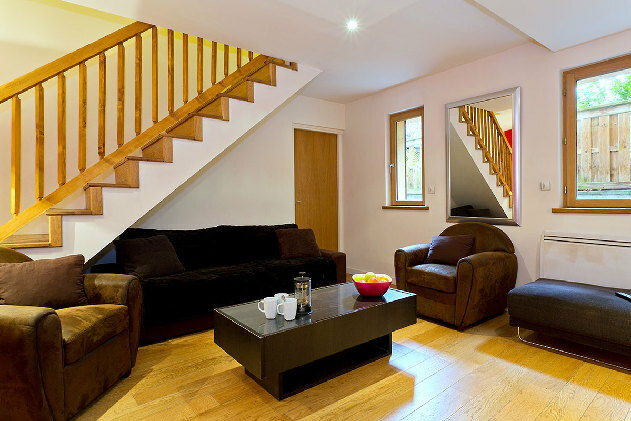 The apartment is modern and all set up with everything you need for a great holiday. 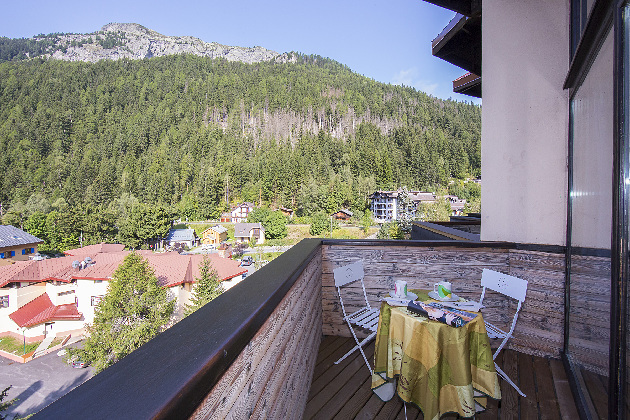 There is a car parking space and a ski locker, and a lovely balcony with great views. 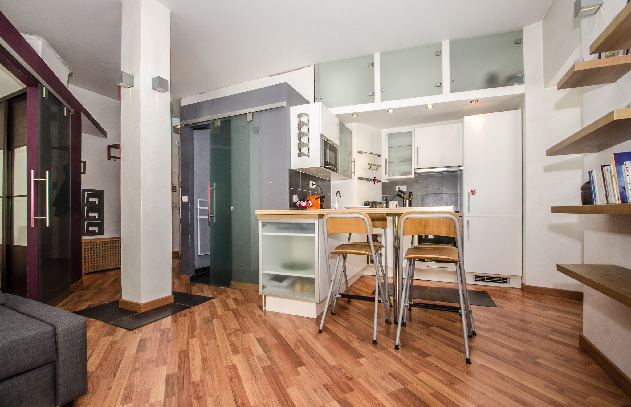 This is a stylish one bedroom apartment located in the centre of town, right at the end of the pedestrian zone. 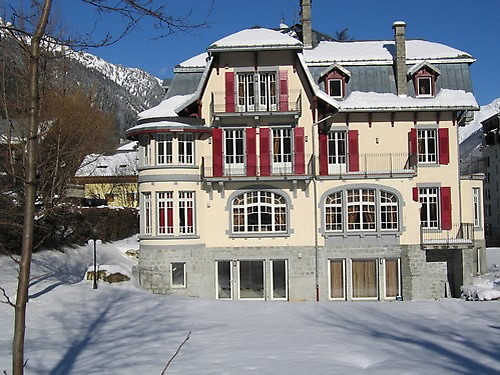 A fantastic 1 bed apartment in the sought after, historic Majestic building in the centre of Chamonix. This fantastic location offers a huge selection of shops, bars, restaurants, cafes, supermarkets, tourist information, cinema etc., right on the door step. 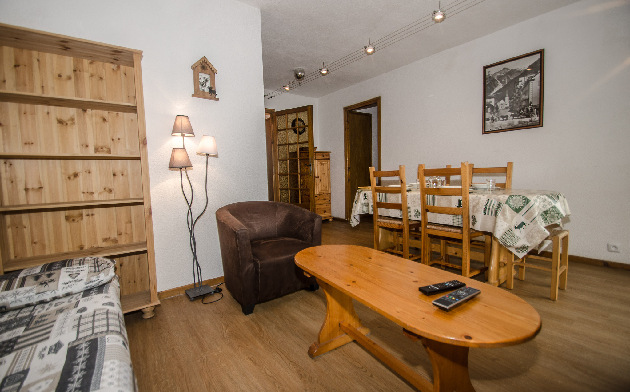 A quality one bedroom apartment with lovely interiors, a ski locker and parking. 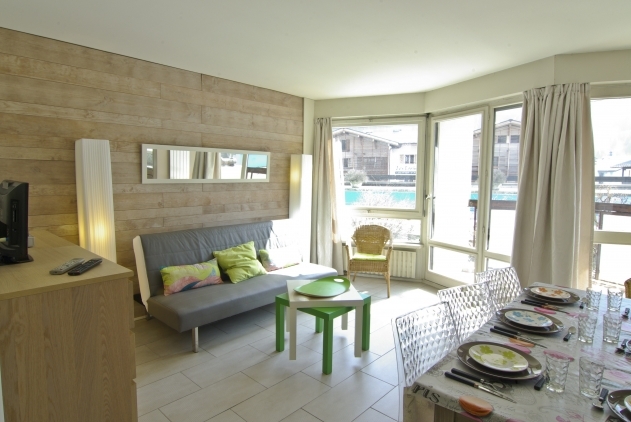 Apartments Matrix - two brand new, super stylish apartments located in the heart of Chamonix. 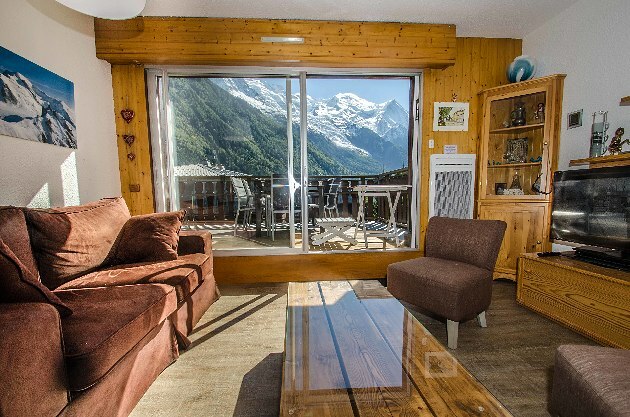 Next to the historical Place de La Mer de Glace in the center of Chamonix, Apartment Matrix provides well-priced 5-star accommodation both winter and summer. 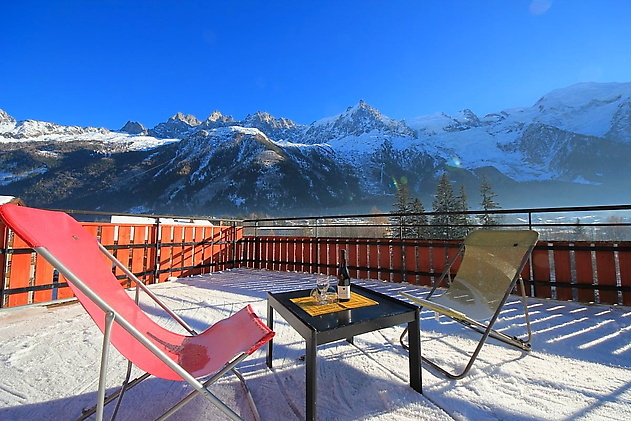 Both apartments enjoy vast sun terraces, which overlook the stunning panorama of both Chamonix town and Mont Blanc. 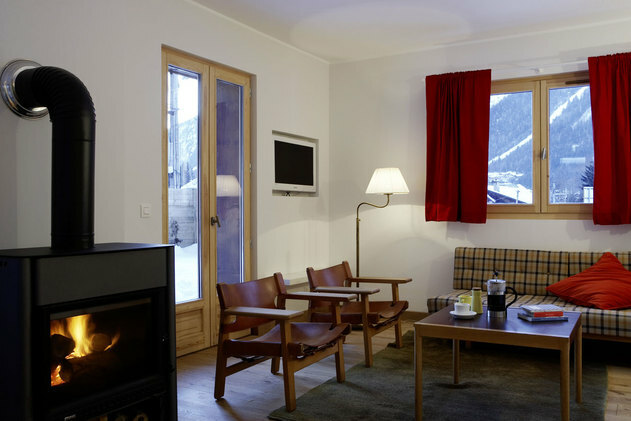 Private ski lockers, boot warmers, infrared saunas, TV in all bedrooms – the appartments are perfectly suited for everyone who wish to have a super comfortable Alpine holiday, yet with all the shopping and buzz at only a stone’s throw away. There are 2 private parking spaces next to the building, and plenty more parking across the road. 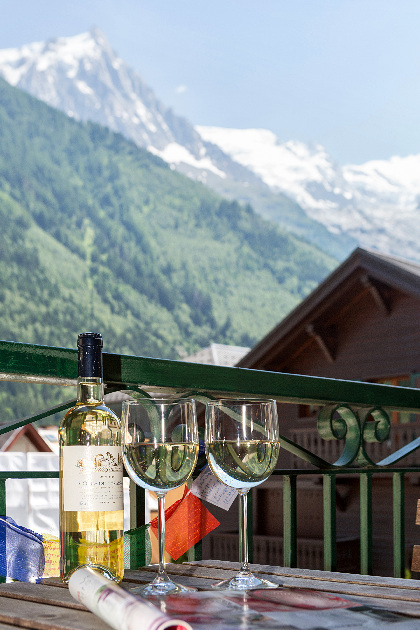 A new high quality self catering ski apartment located in the centre of Chamonix in a luxury chalet complex right opposite the Savoy ski lift with fabulous views of Mont Blanc from it's balcony. 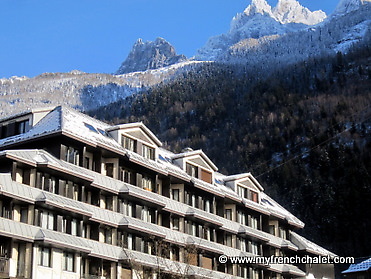 In the heart of Chamonix centre right next to the Savoy ski lift. 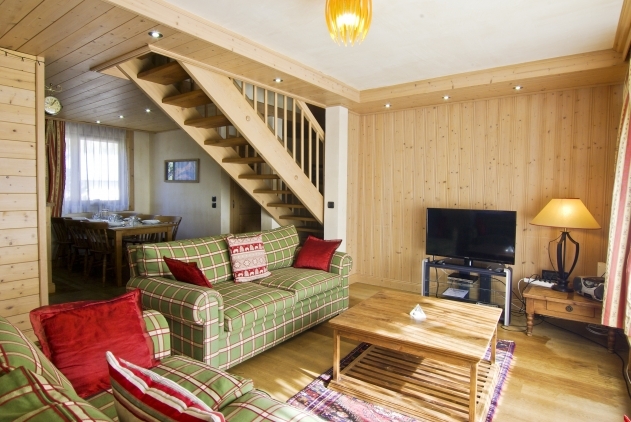 Sleeps up to 6 in 2 bedrooms and lounge: 2 twin / double bedrooms, 1 double sofa bed in lounge. 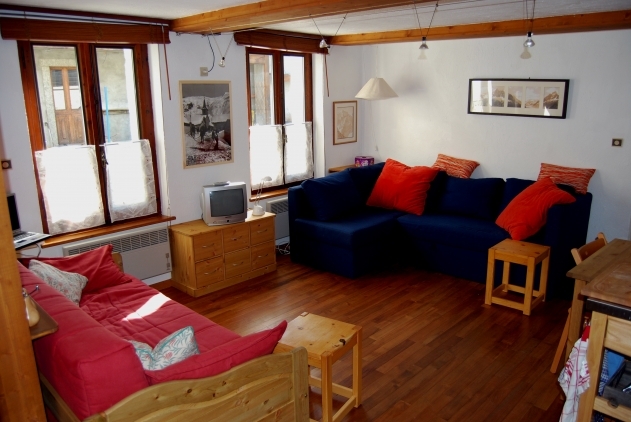 A self catered apartment located in the centre of Chamonix in a very desirable chalet complex. 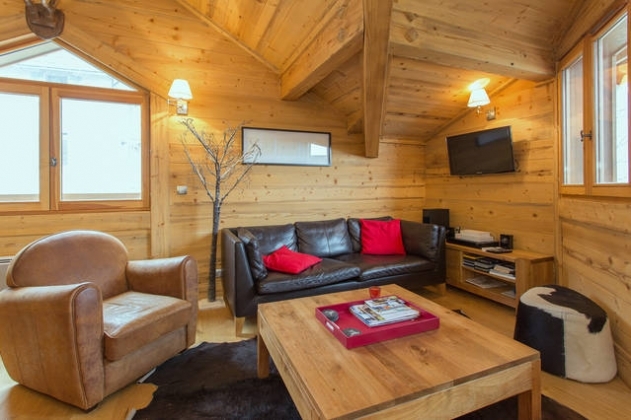 Chamonix Centre Sleeps 6 in 2 bedrooms and lounge - 2 twin/ double bedrooms (one with en-suite bathroom), 1 double sofa bed in lounge. 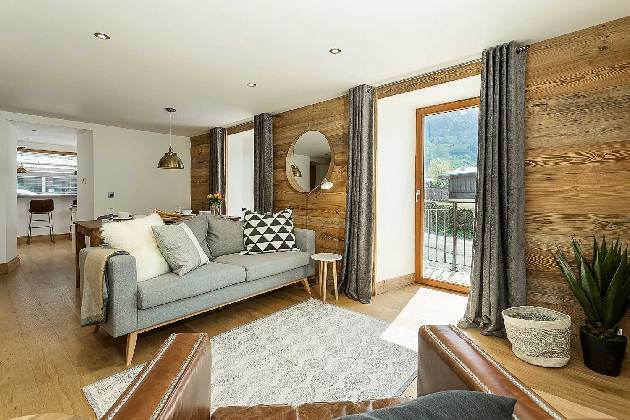 A brand new self catering luxury apartment, located right in the heart of Chamonix (you could not be more central) and next to the river Chamonix Centre Sleeps up to 4 in 1 bedroom and lounge - 1 double/ twin bedroom, 1 large double sofa bed in lounge. 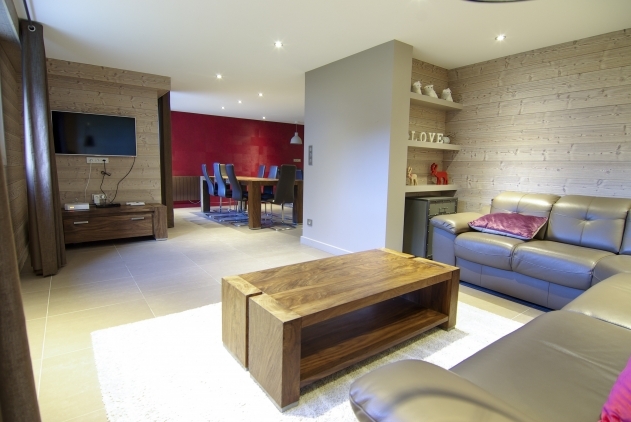 A self catered luxury apartment located in the centre of Chamonix in magnificent new chalet residence. Chamonix centre. 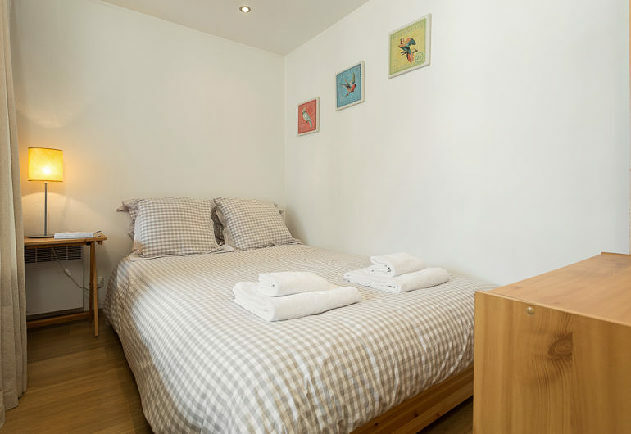 Sleeps 8 in 3 bedrooms - 1 double/ twin bedroom with balcony, en-suite bathroom & flat screen TV, 1 double/ twin bedroom with balcony, 1 quadruple bedroom (1 set of bunk beds, 2 single beds). 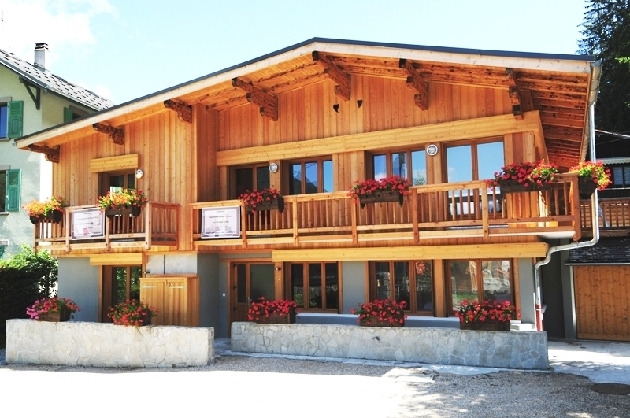 Apartment Hill is a self catering ski apartment located in the centre of Chamonix in a very desirable chalet complex with a gym, sauna and swimming pool. 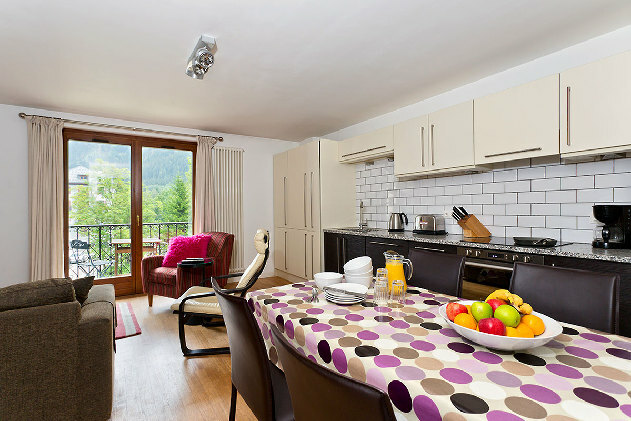 Chamonix centre Sleeps up to 6 in 2 bedrooms and lounge - 1 double bedroom, 1 twin bedroom, 1 double sofa bed in lounge. 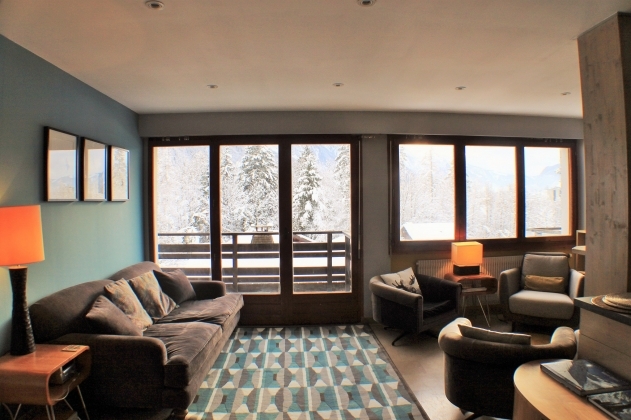 A self catering ski apartment right in the heart of Chamonix with all mod cons and a fabulous view of Le Brevent! Chamonix centre over looking the river. Sleeps up to 4 in 1 bedroom and lounge: 1 double bedroom, 1 sofa bed in lounge1 double sofa bed in lounge (can be 1 double or 2 singles). Newly refurbished one bedroom apartment in a central location. 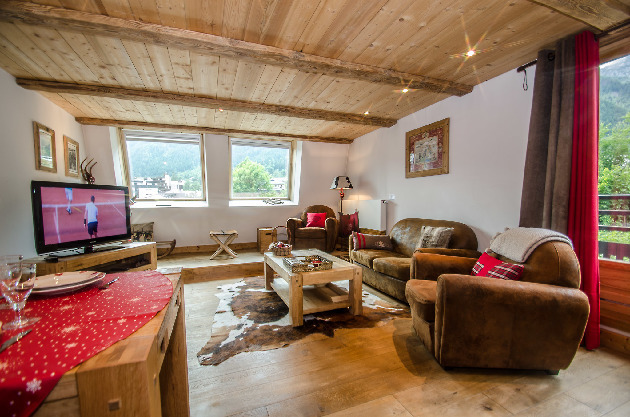 Perfect for a couple, small family or group of friends looking for a central location in Chamonix. 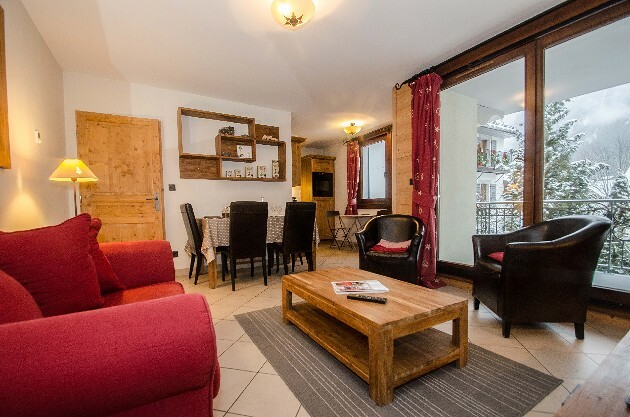 Conveniently located close to the Aiguille du Midi cable car, 1 minute from the ski lift bus stop and 2 minutes from all amenities including restaurants, bars and shops. Sleeps up to 4 people. 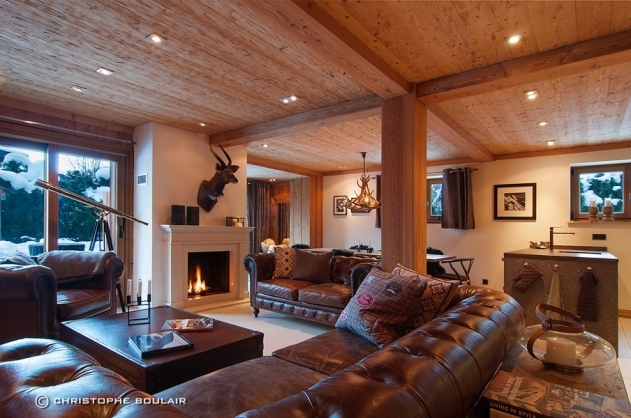 A self catered luxury apartment located in the centre of Chamonix in magnificent new chalet residence. 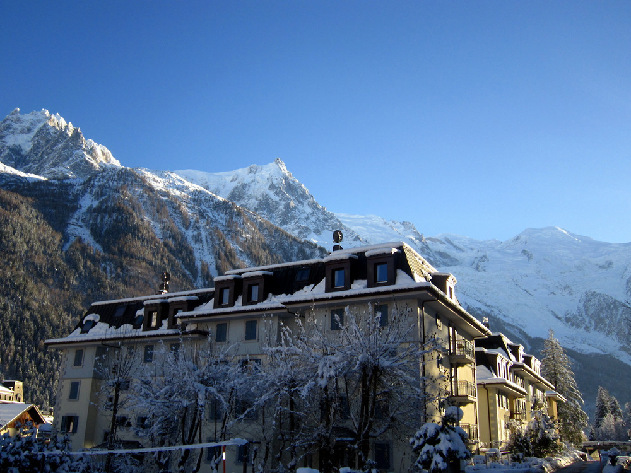 Right in the heart of Chamonix centre. 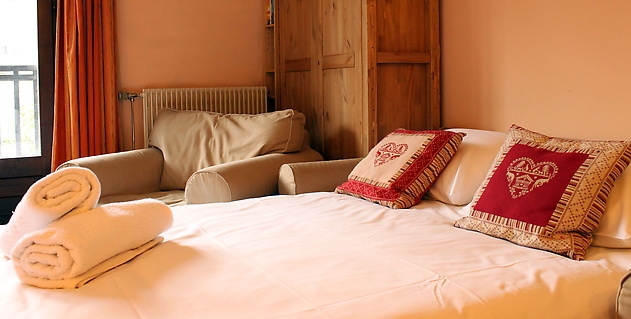 Sleeps up to 4 in 2 bedrooms: 2 double/ twin bedrooms with flat screen TVs (1 with en-suite bathroom). 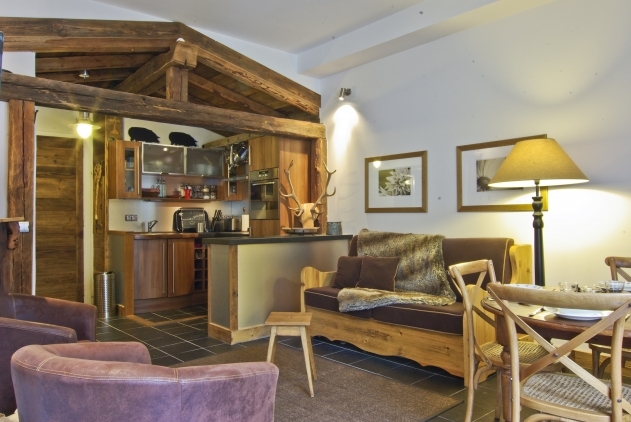 Located right in the centre of Chamonix and only about 150m from the cable car at Les Brevents. 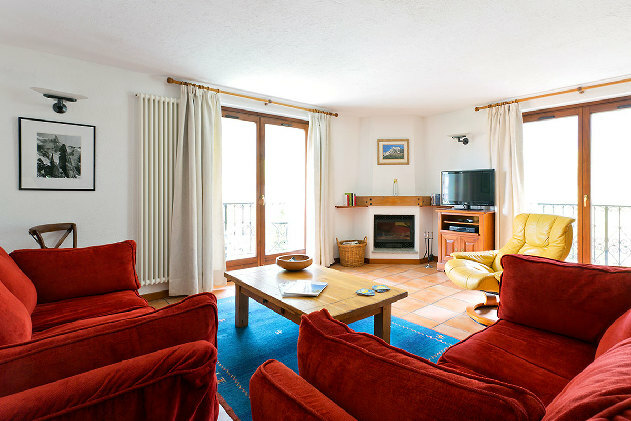 Spacious with large bedroom and two balconies with views over Le Brevent. A great base with own carparking. Large TV, DVD and WIFI. 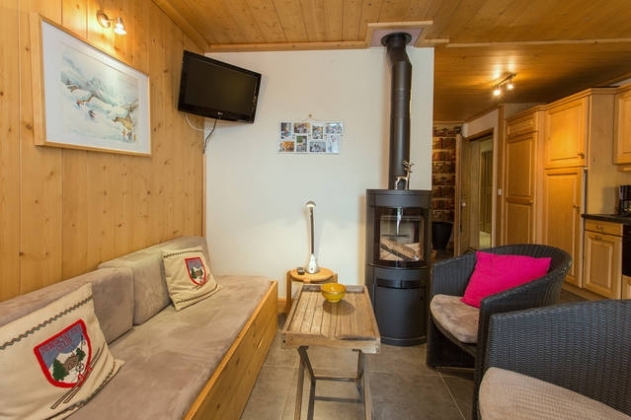 Central Chamonix 75 sq m for up four adults and two children people in comfort. 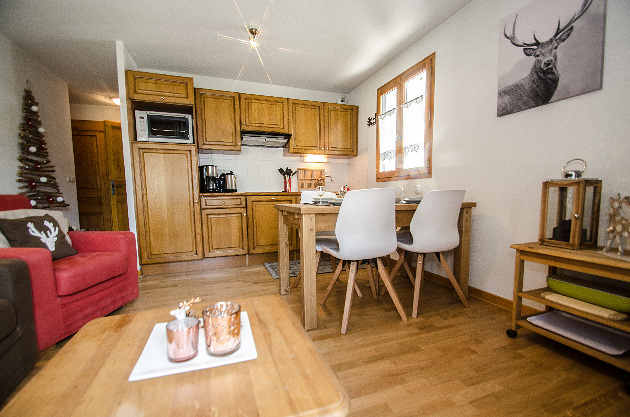 Fully equipped apartment at just 2 minutes walking from the Rue du Docteur Paccard, main street of Chamonix, our apartment offers the most comfortable accommodation for your holiday. 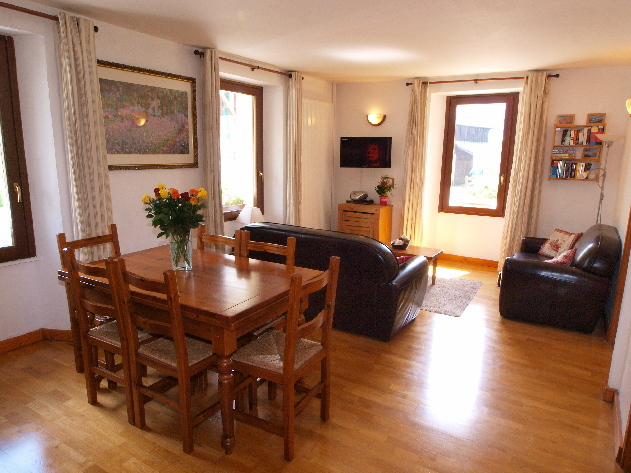 Fully equipped apartment at just 2 minutes walking from the Rue du Docteur Paccard, main street of Chamonix. 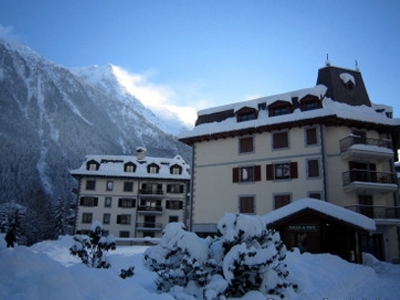 The Téléphérique du Brévent (ski resort) is located just few minutes walking from the villa. The apartment has 3 bedrooms, the standard capacity of the apt is 6 people. The maximum capacity is 8 people.